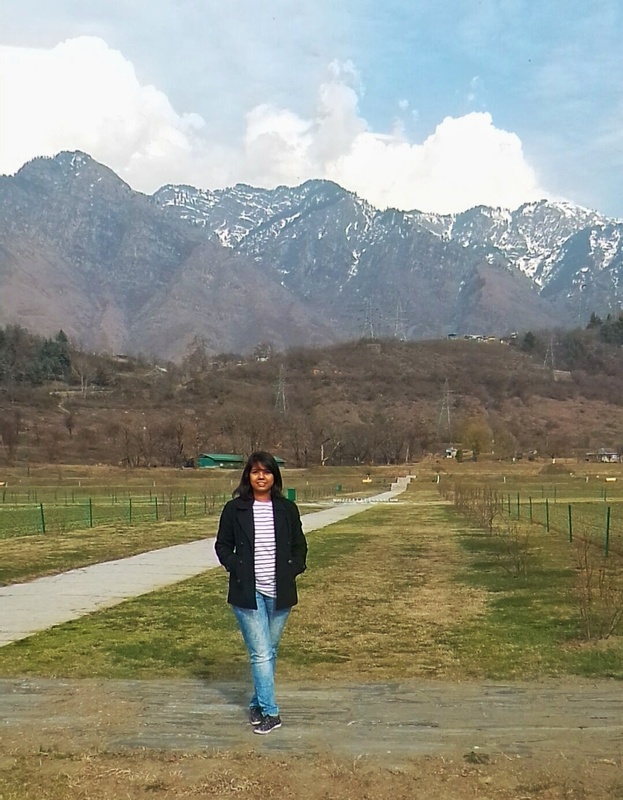 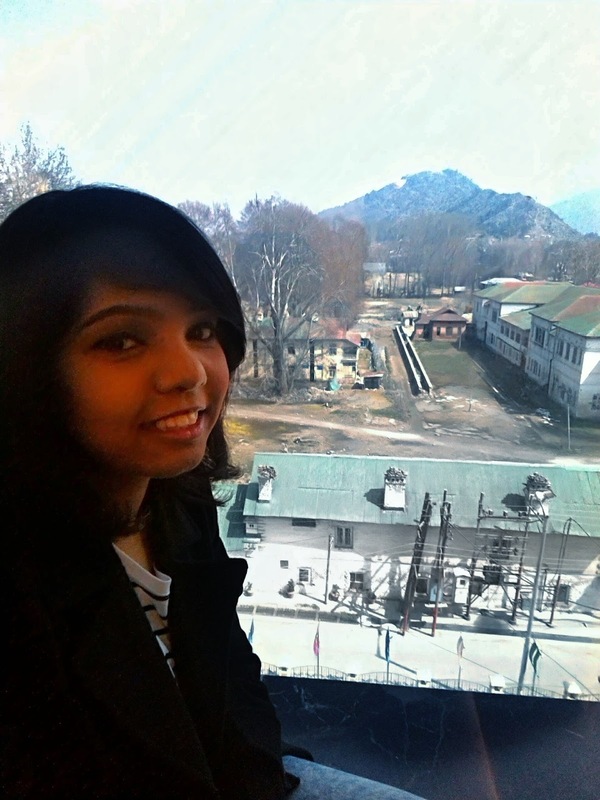 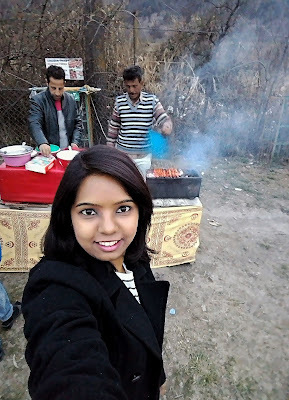 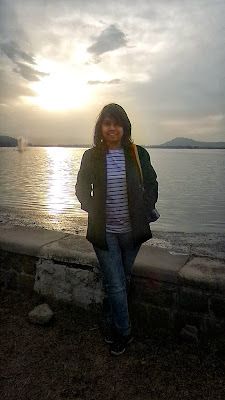 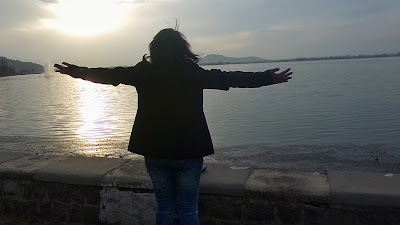 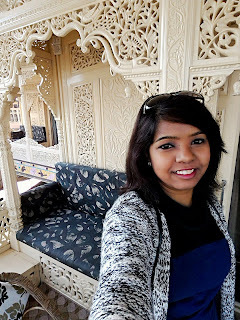 I got a chance to experience and learn about the beauty of Kashmir which I have always seen in movies and read about it. 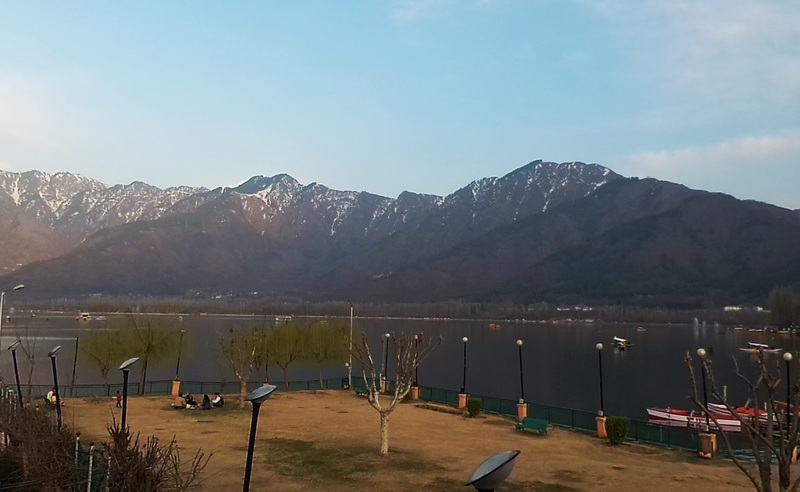 After a long flight and 2 stopovers I reached Srinagar. 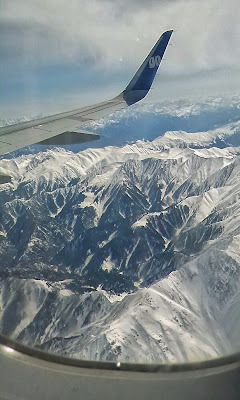 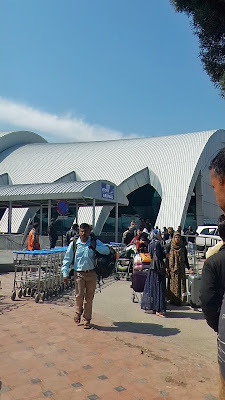 There were many people flying to Srinagar as my flight was full and the airport did not look deserted too. 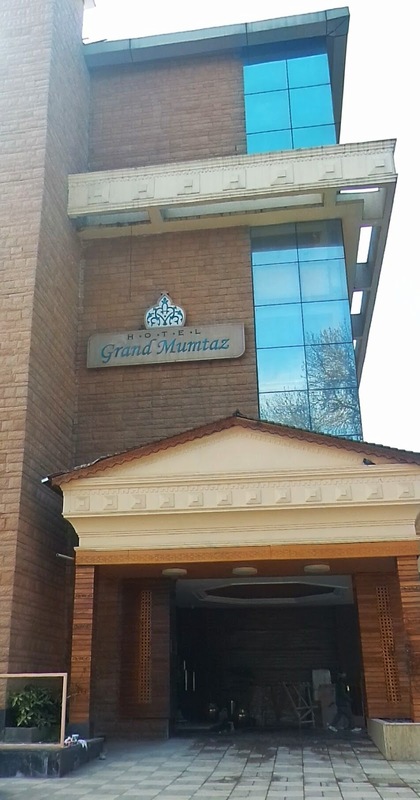 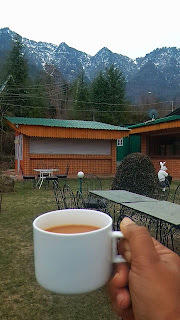 From airport I head straight to Grand Mumtaz hotel where we were welcomed with some really good and hot Kashmiri Kahwa. 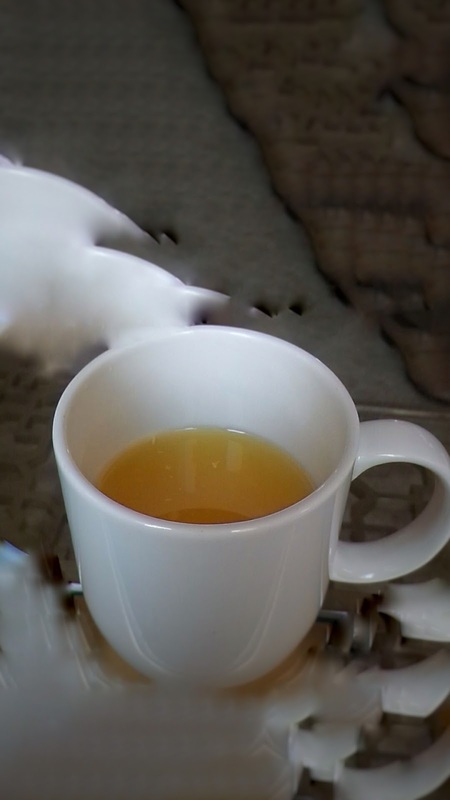 I fell in love with the tea and the servings of cookies with it. 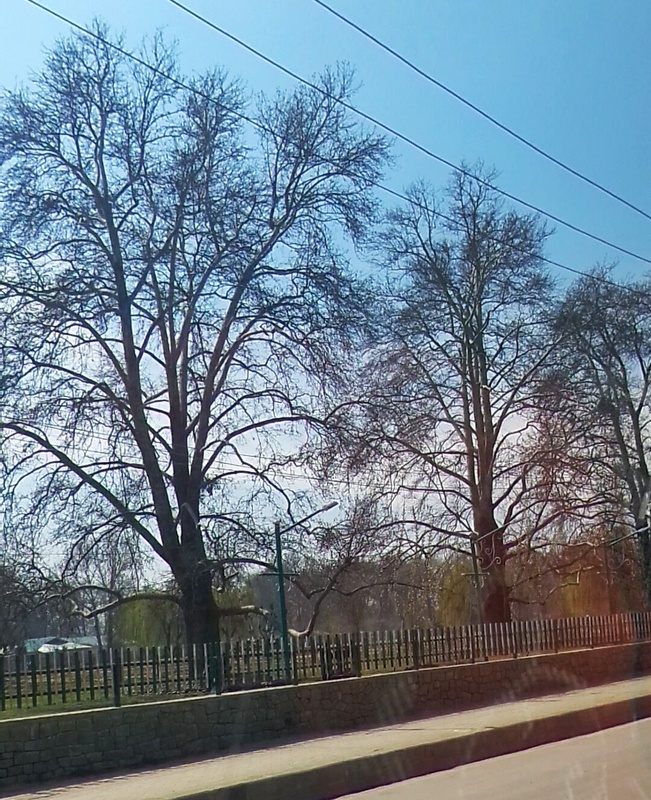 Srinagar is the largest city and the summer capital of Jammu and Kashmir. 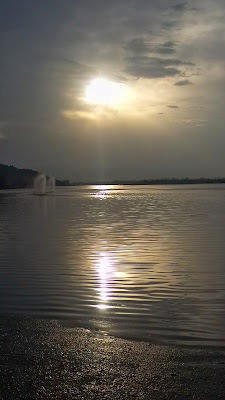 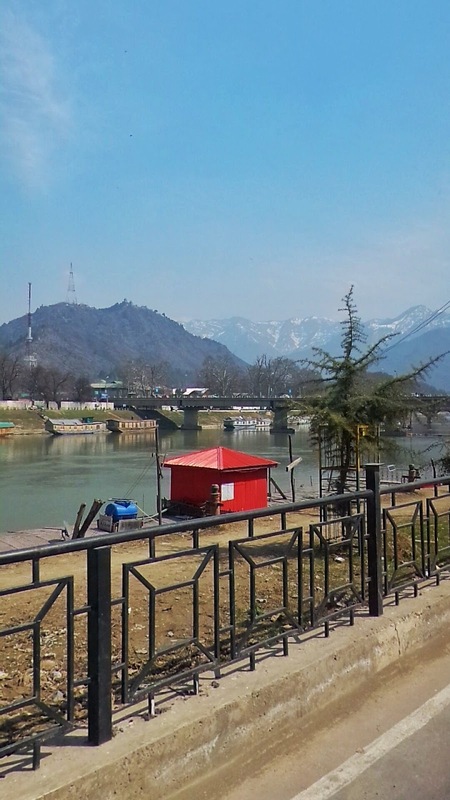 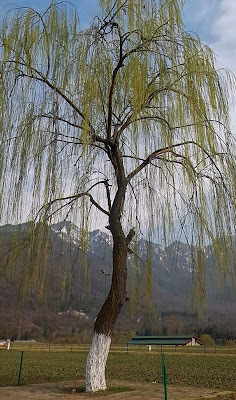 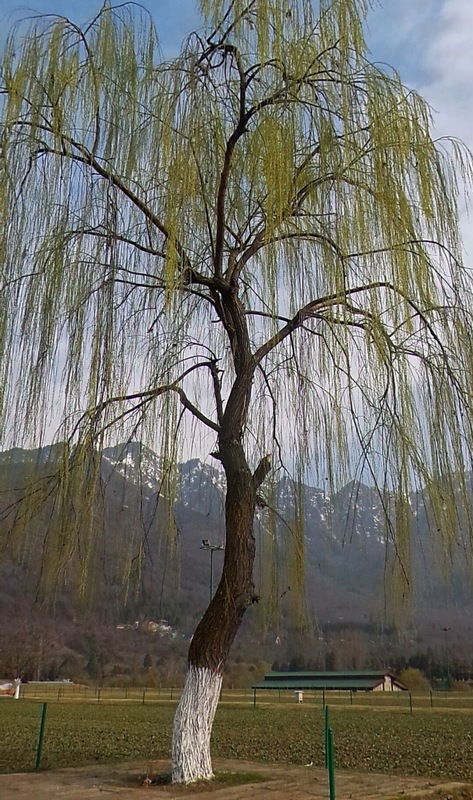 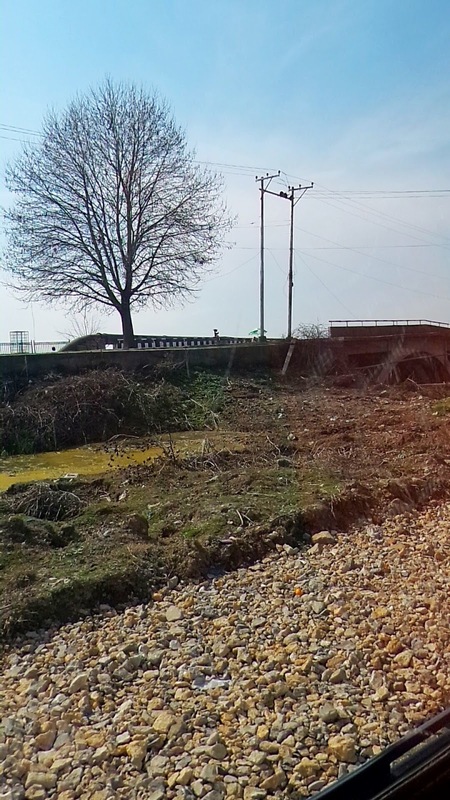 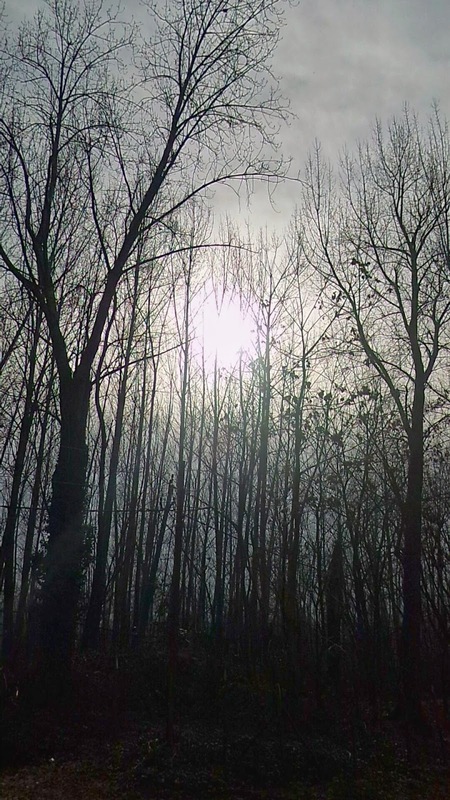 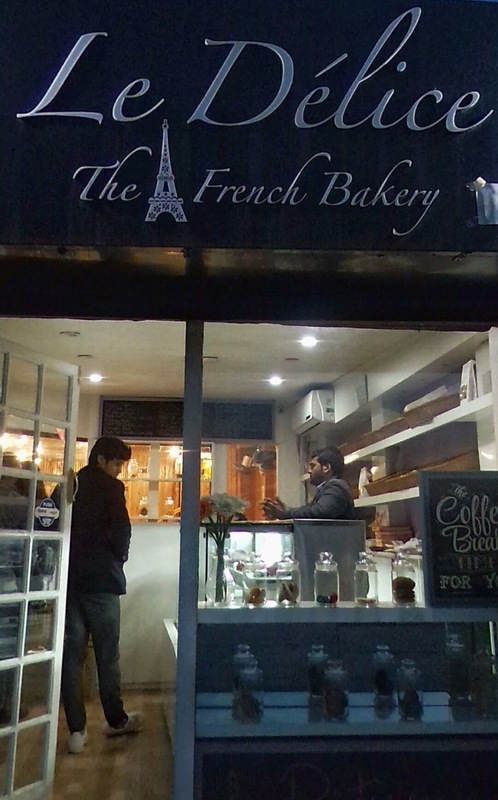 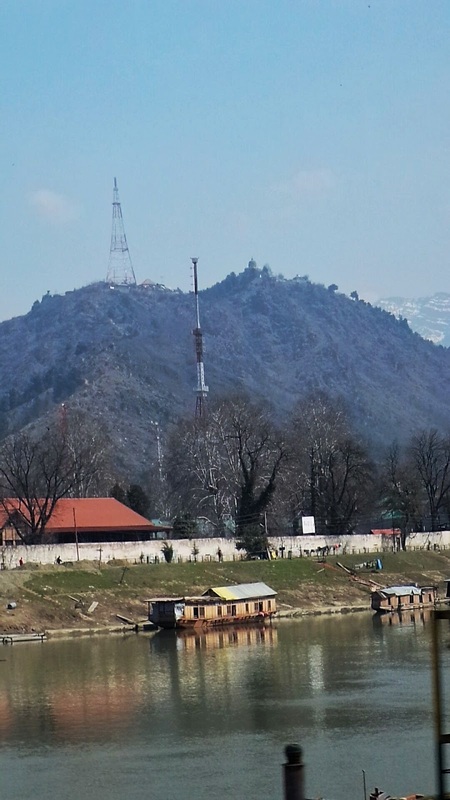 It lies in the Kashmir Valley on the banks of the Jhelum River. 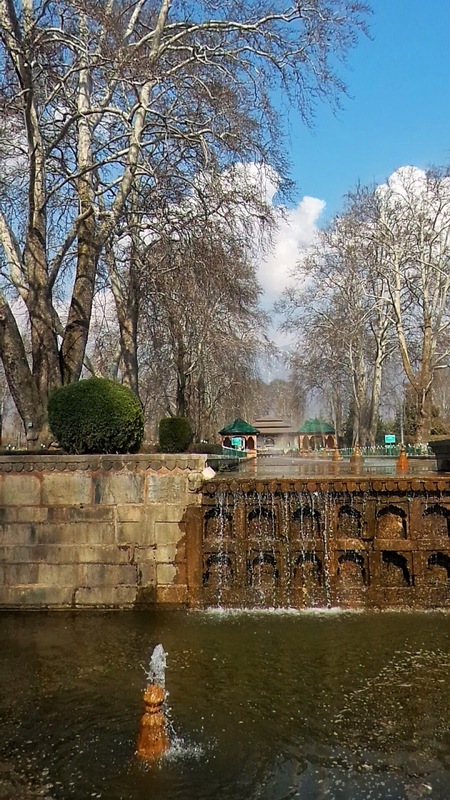 It is famous for its gardens, waterfronts and houseboats. 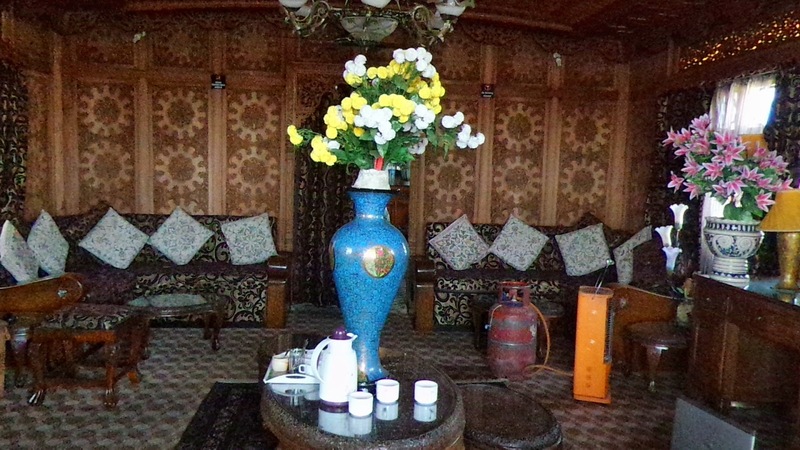 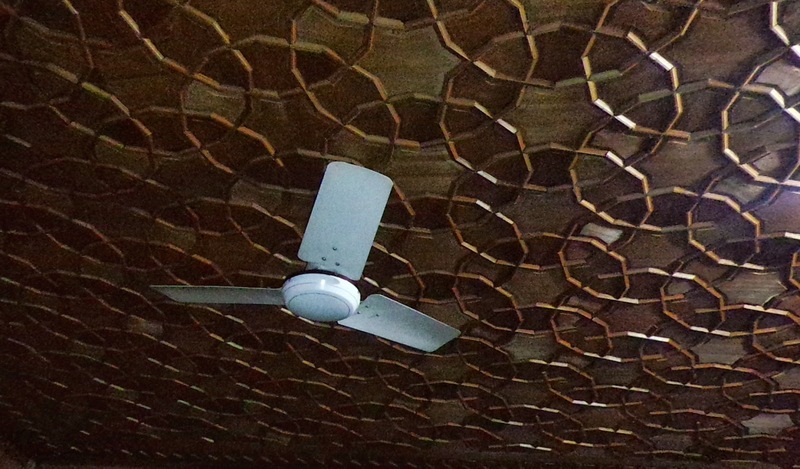 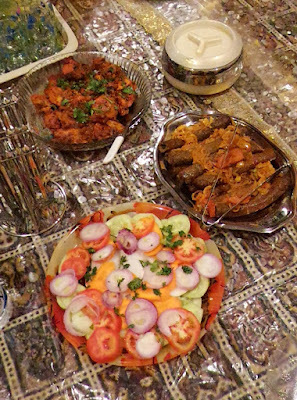 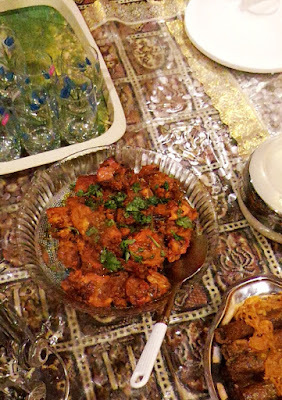 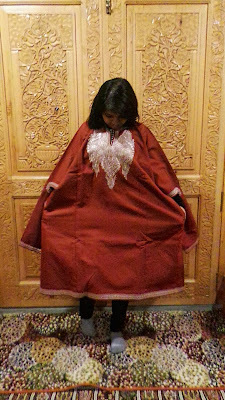 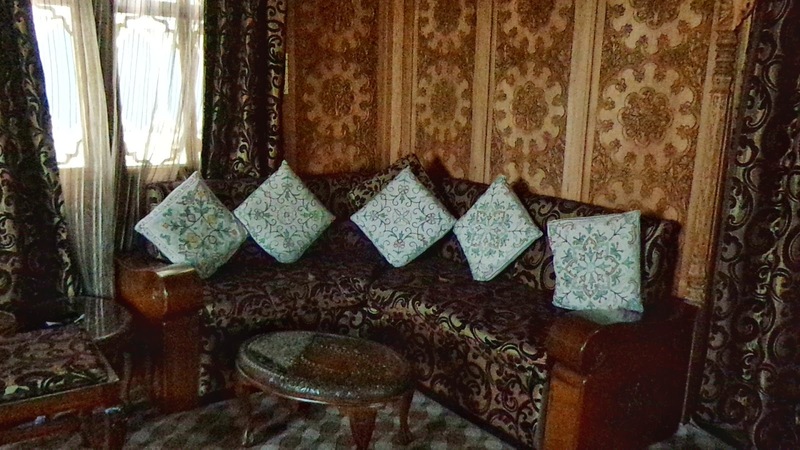 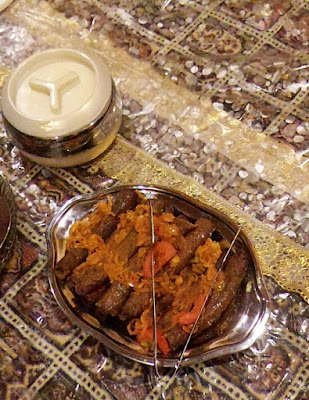 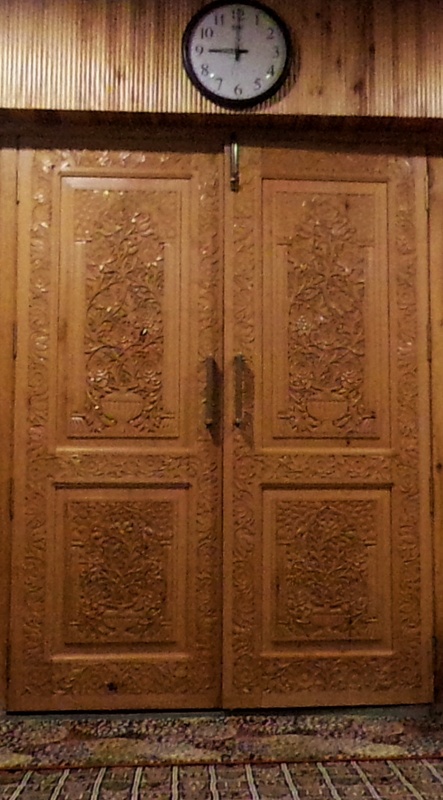 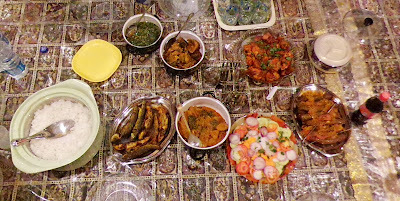 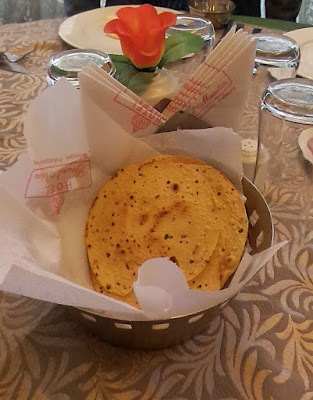 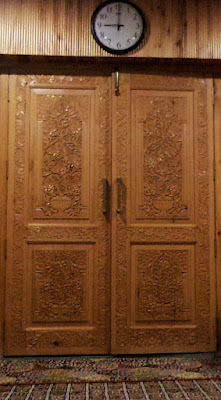 It is also known for traditional Kashmiri handicrafts and dried fruits. 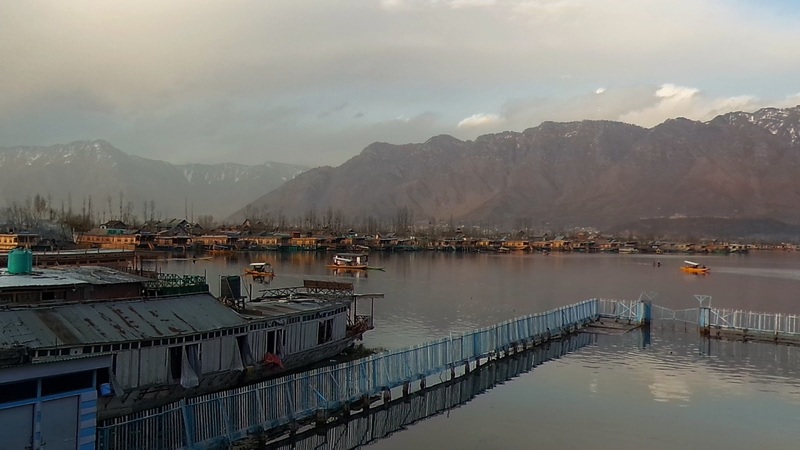 Srinagar is ringed by an arc of mountains, mesmerising Dal Lake on which a bright array of stationary houseboats form a colourful scene and a unique opportunity for romantic chill-outs or some alone time. 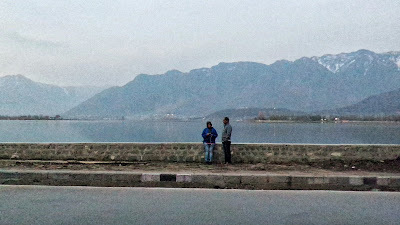 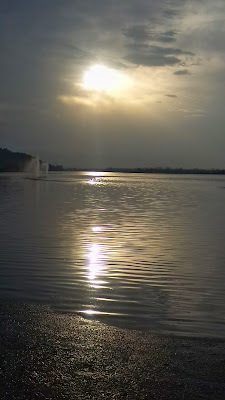 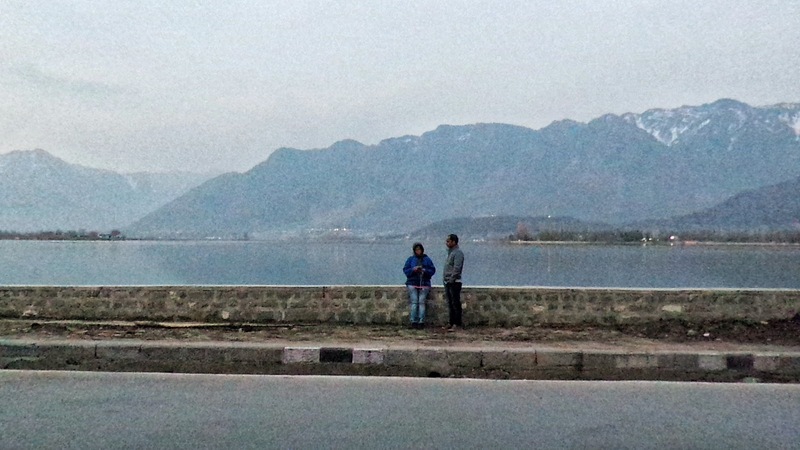 A drive around dal lake will take you to most tourist locations. 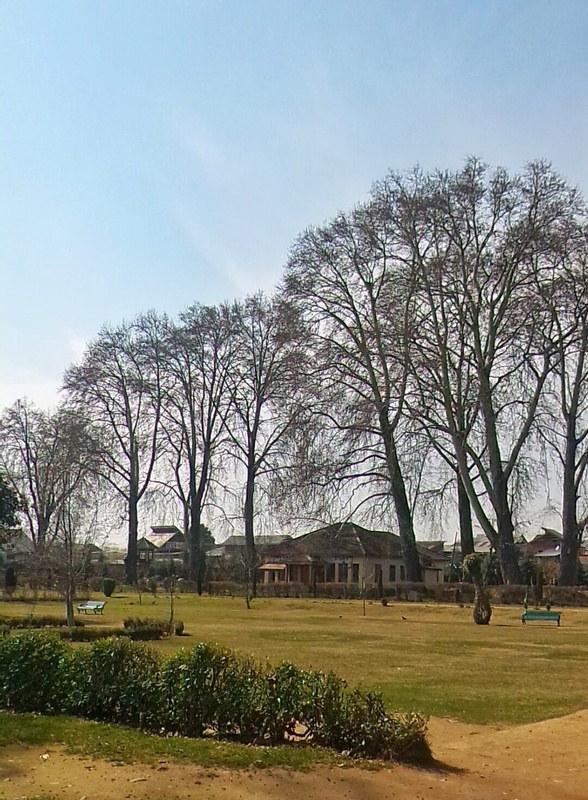 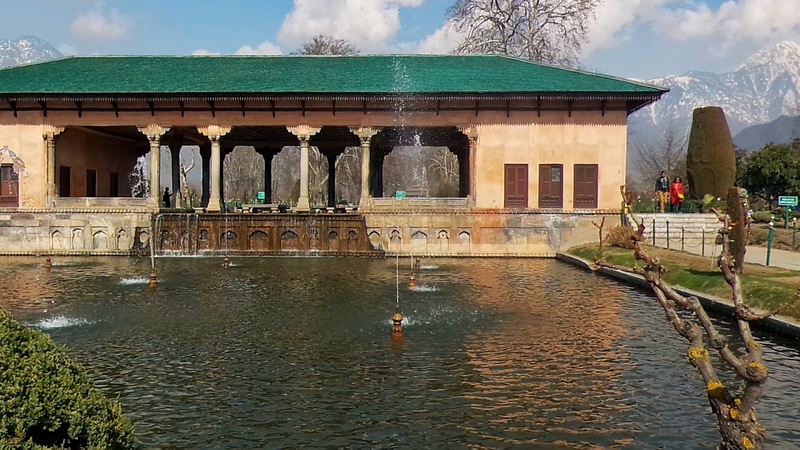 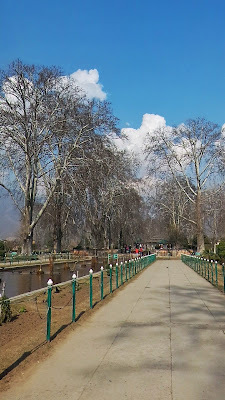 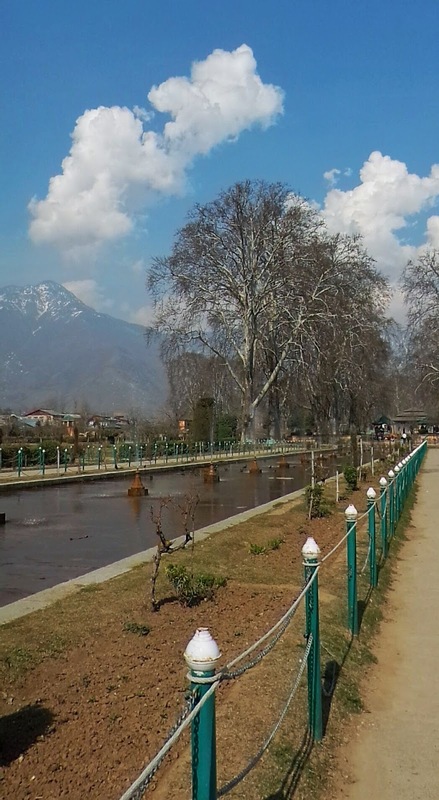 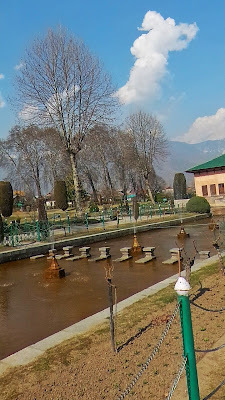 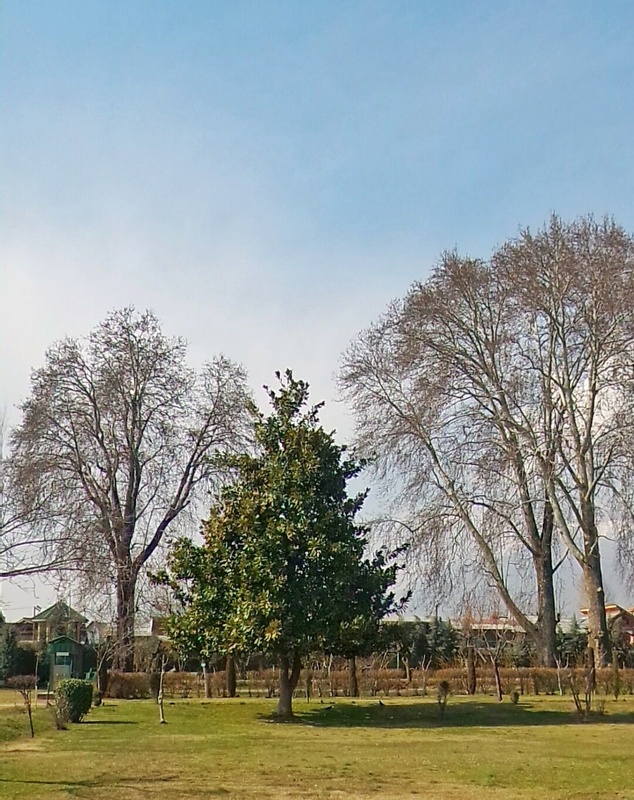 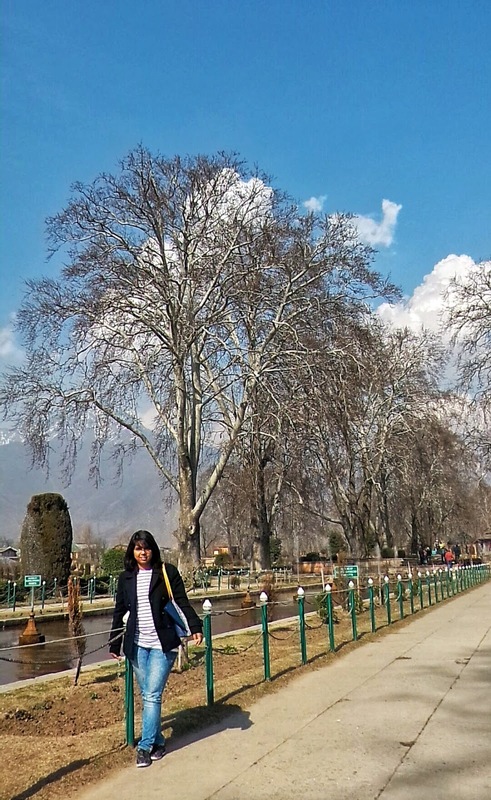 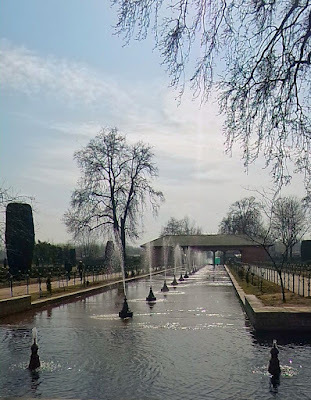 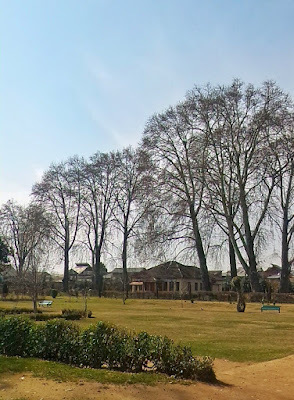 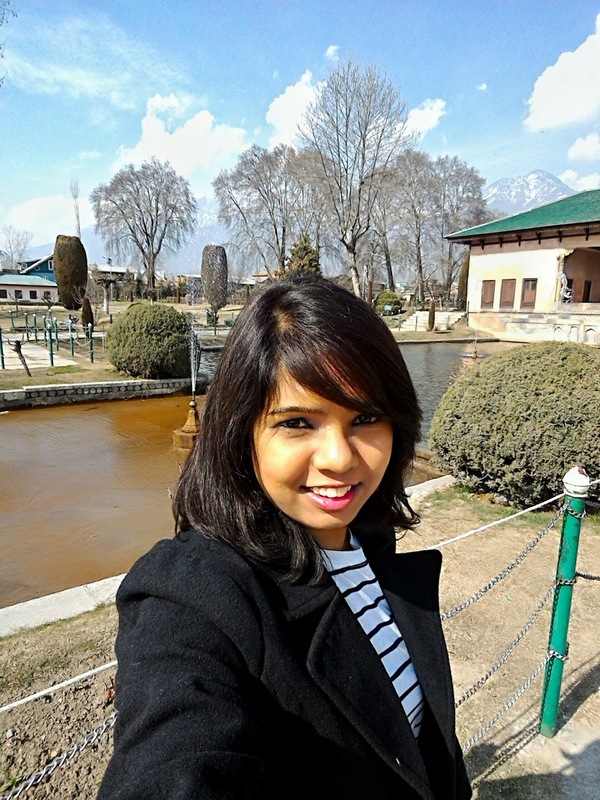 The gardens in Srinagar are very famous - from Nishat bagh to Shalimar garden, there are various gardens laid by the Mughal emperors. 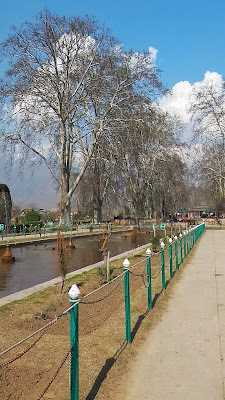 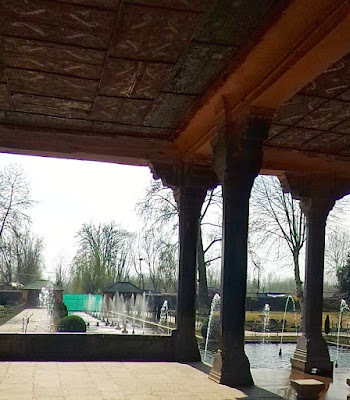 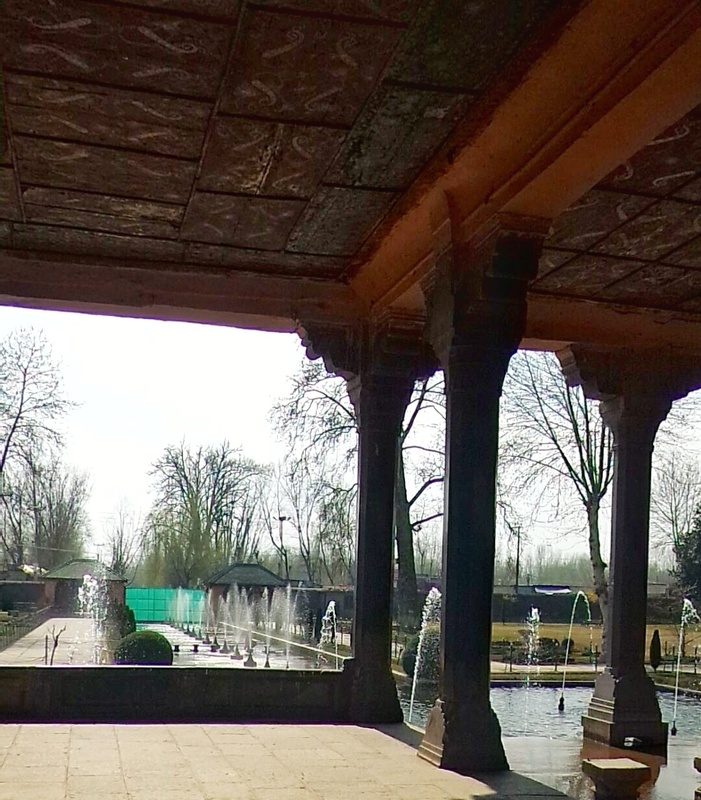 I visited Shalimar Bagh which is largest in size in Kashmir valley. This bagh was built by Mughal Emperor Jahangir for his wife Noor Jahan. 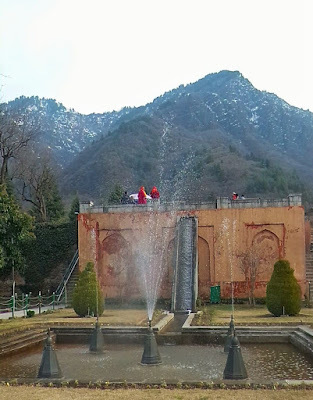 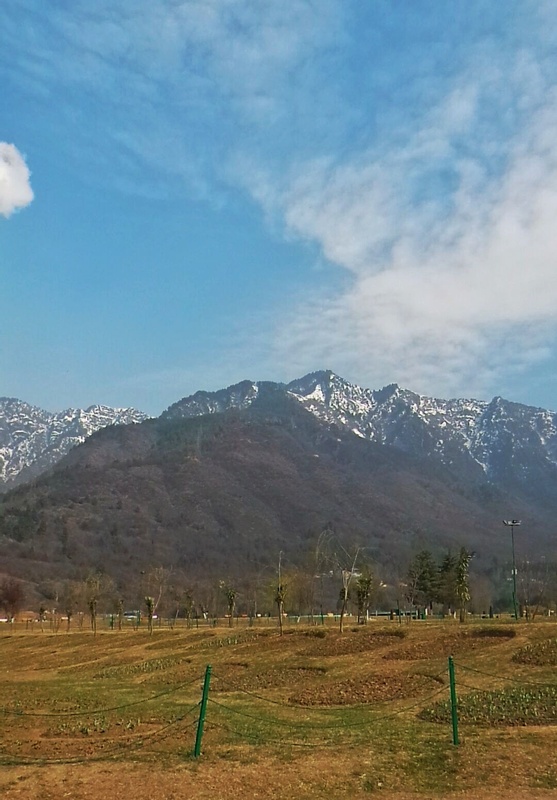 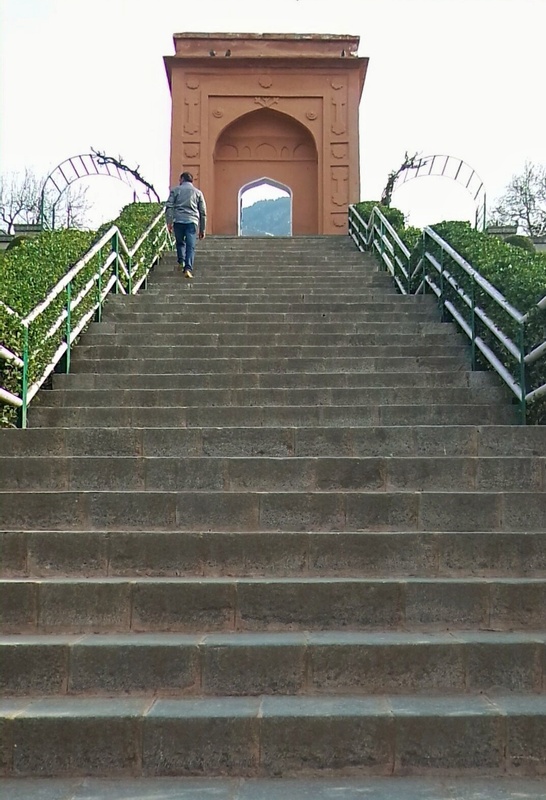 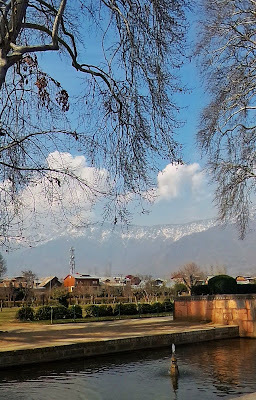 Nishat Bagh is a terraced Mughal garden and second largest Mughal garden and more beautiful. 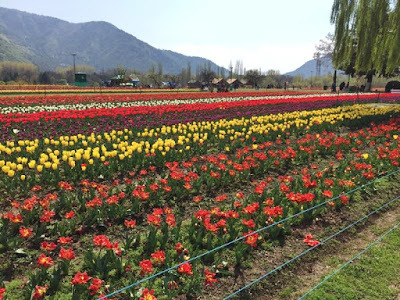 Another beautiful garden which is Asia’s biggest Tulip Garden attracts crowds in April. 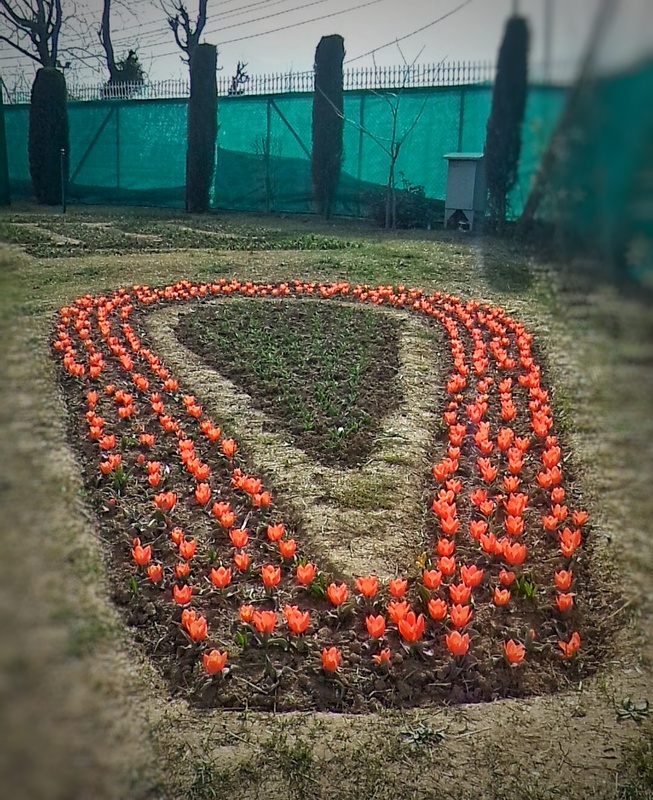 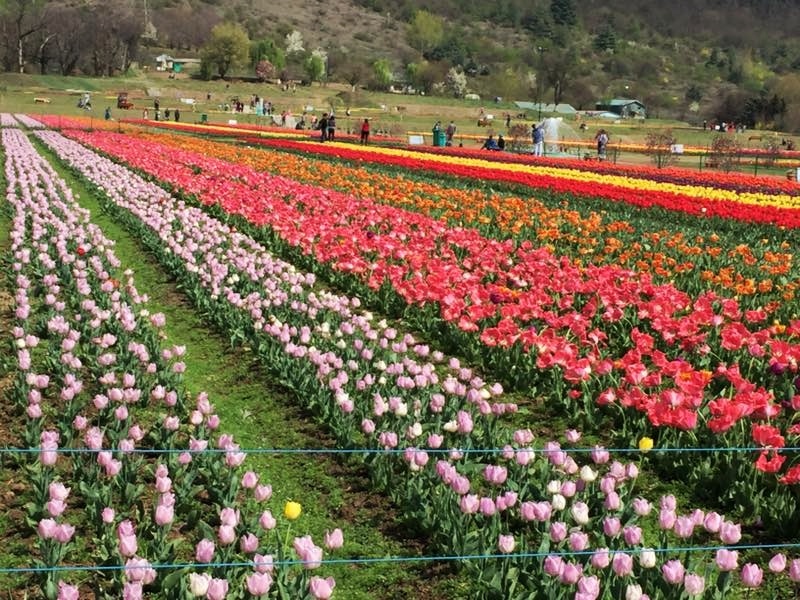 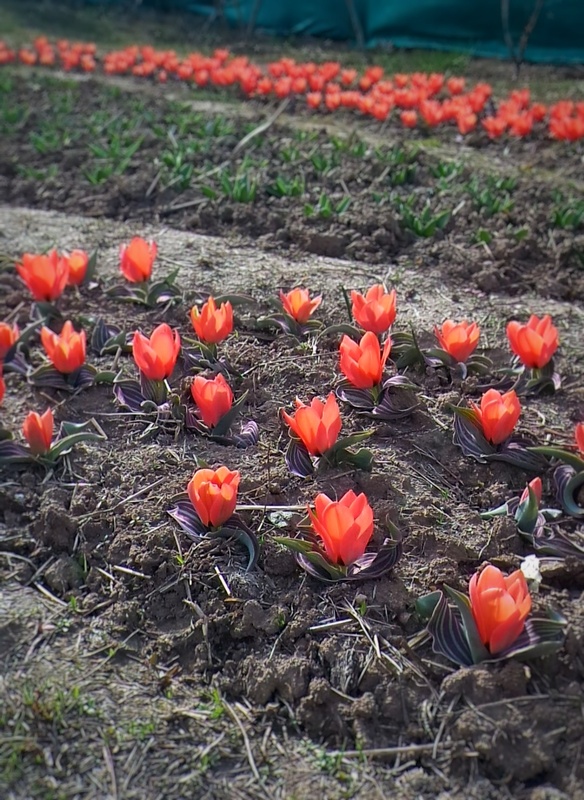 It has long and straight rows of blooming tulips which will make the garden look like a typical Dutch flower farm but with the backdrop of mountains. 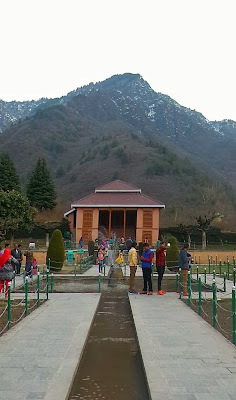 This garden is open for a very short period in a year and attracts most crowd during this time. 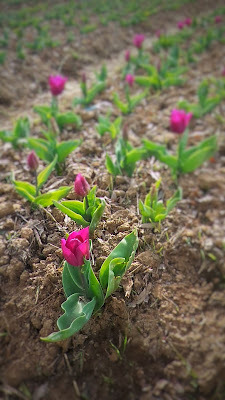 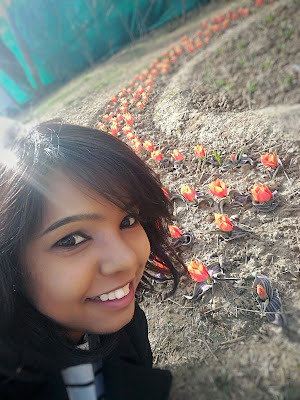 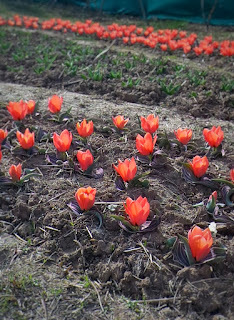 Though the tulips were not bloomed, I did enter the garden to see a patch of tulips grown and some bloomed at different patches of the garden. 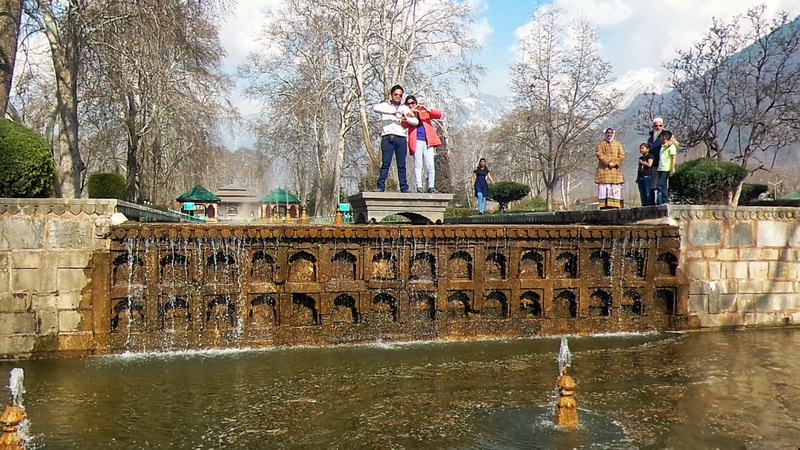 Next, Cheshmashahi Garden should be visited which is attractively folded amid the wooded mountain foothills. 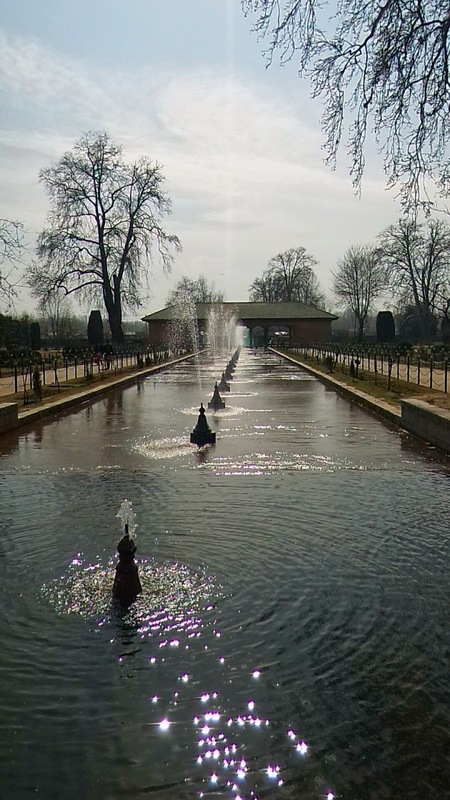 There is a square fountain pool fed by a water chute from the Royal Springs. 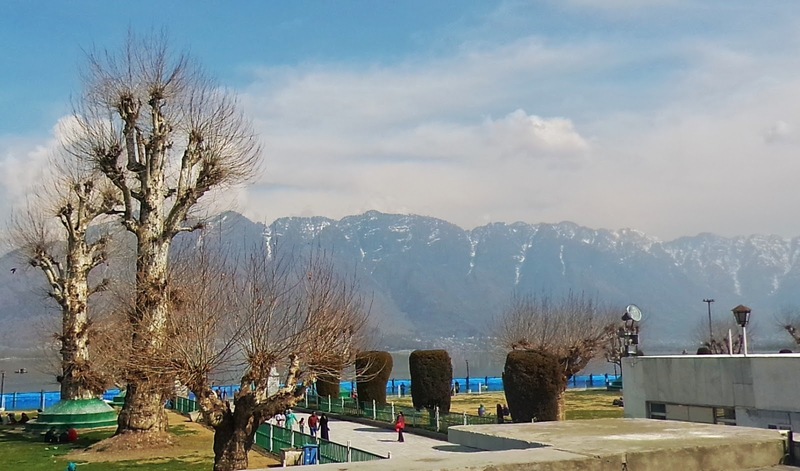 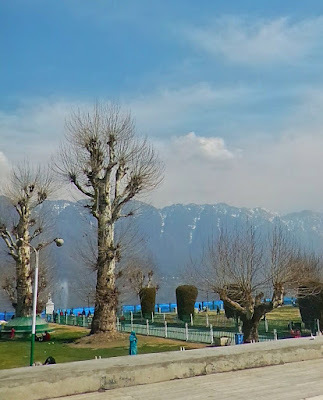 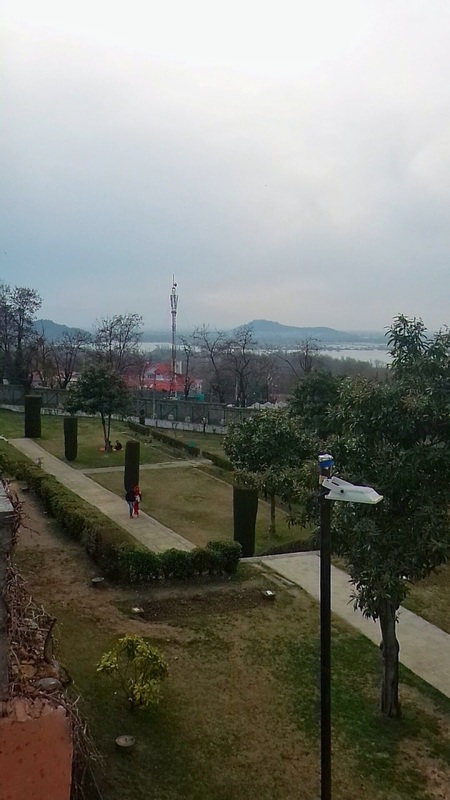 The garden is located in the Zabarwan Range, near Raj Bhawan (Governor‘s house) overlooking Dal Lake in Srinagar, Kashmir. Also, it is the smalles among the 3 mughal gardens. 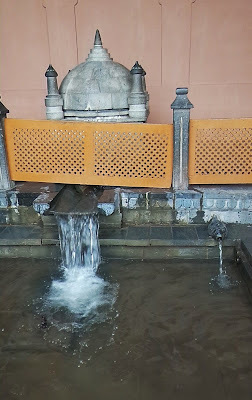 They say that if your drink that water, it keeps you healthy and without any diseases. 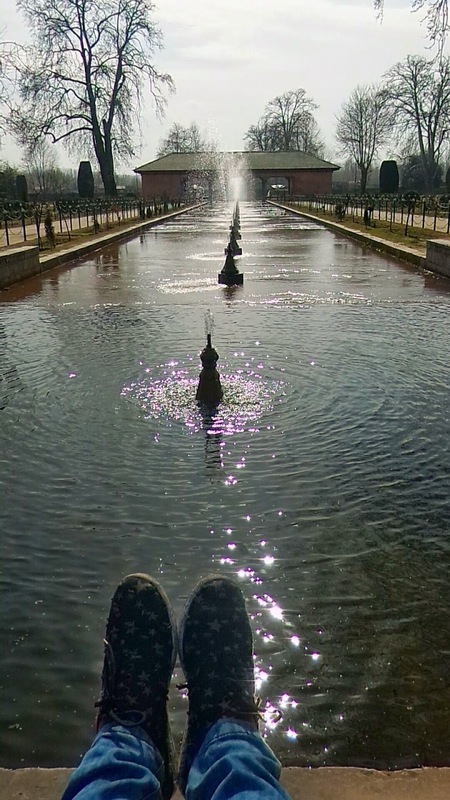 I did try my hands at this chilling water. 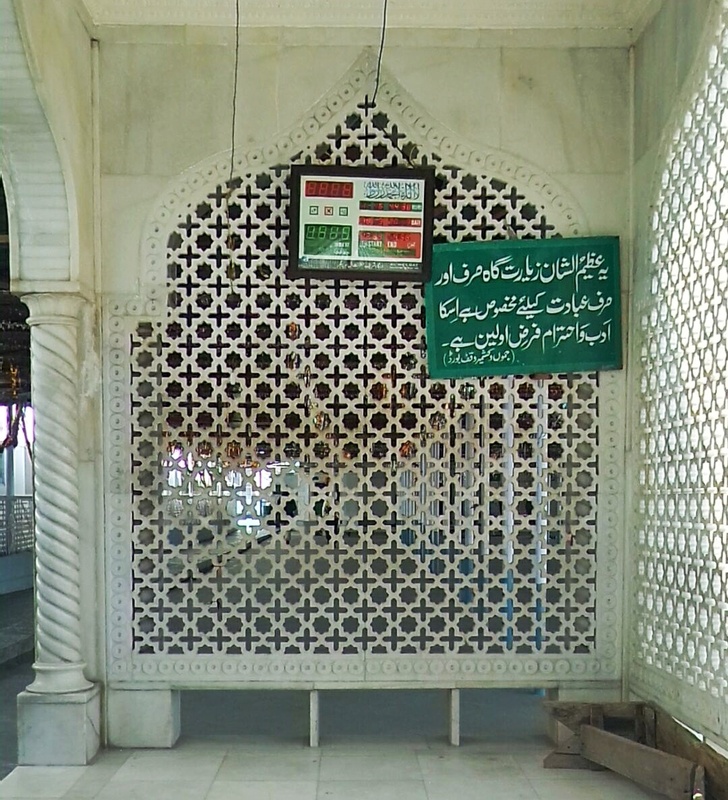 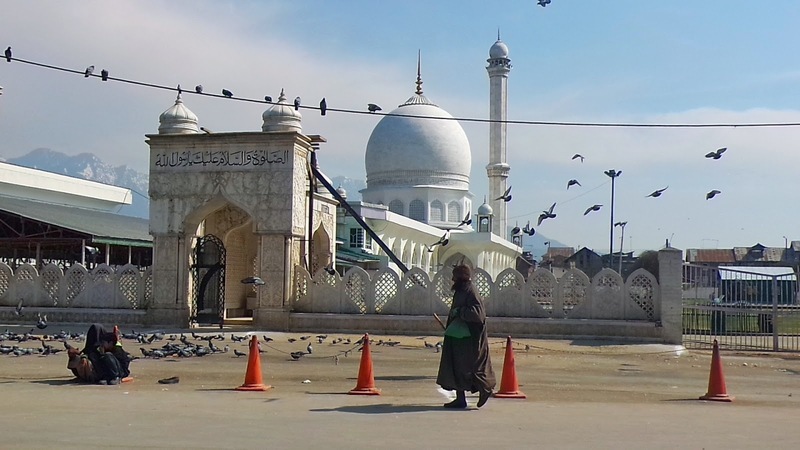 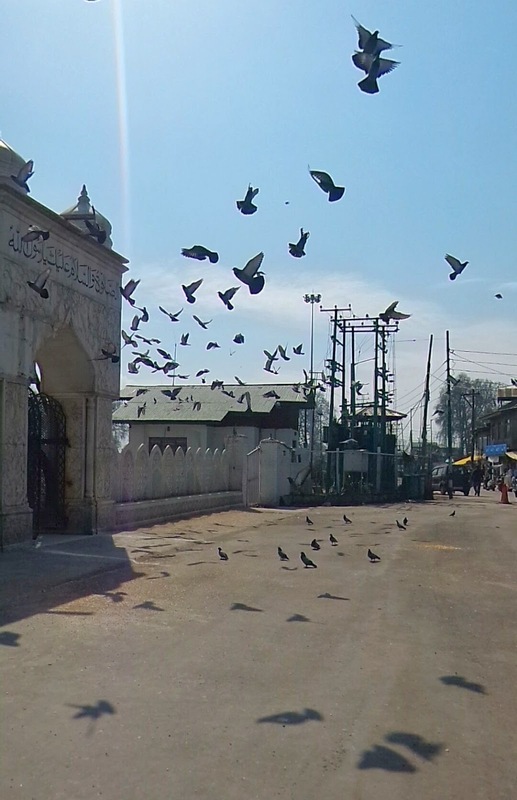 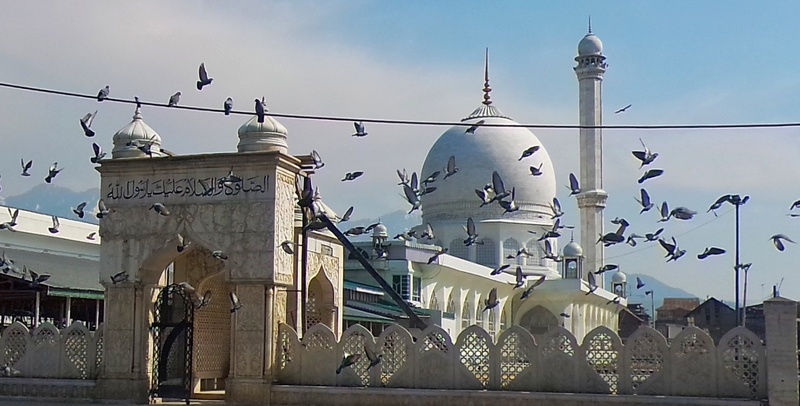 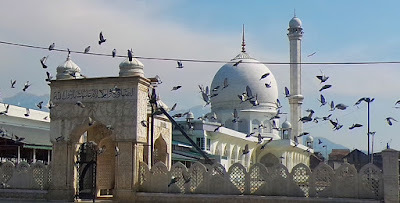 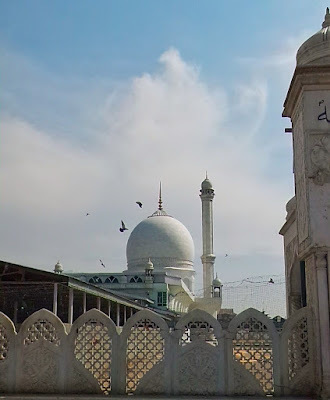 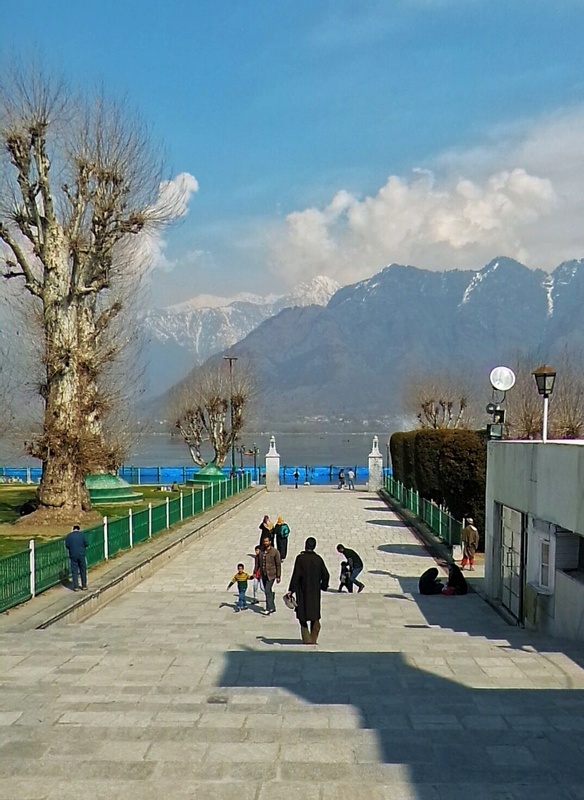 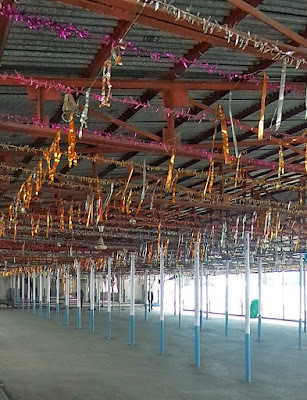 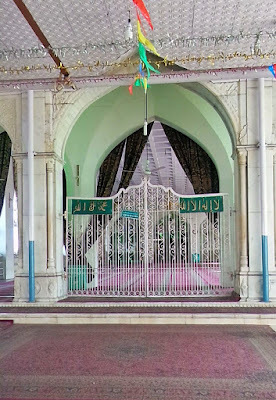 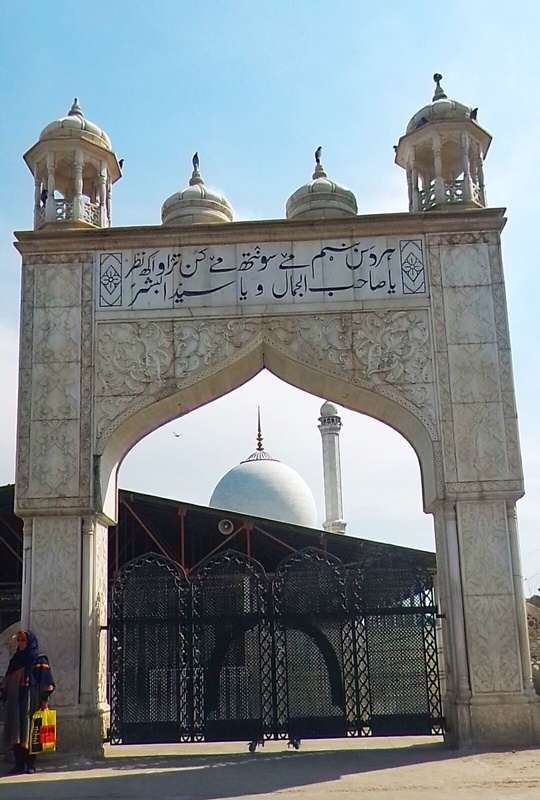 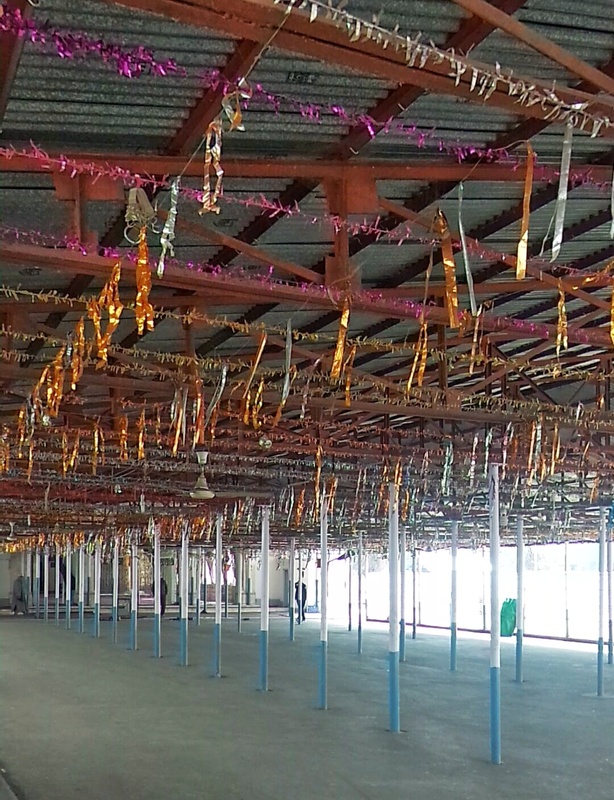 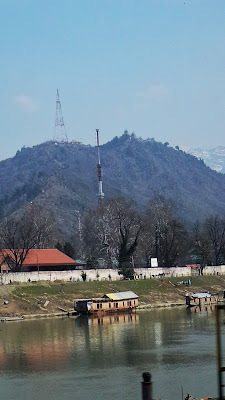 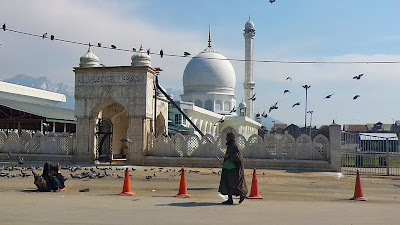 Hazratbal Shrine/Dargah is another tourist place which is famous and many relics related to the Islamic prophet Muhammad are believed to be there. 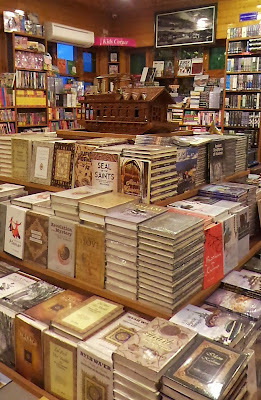 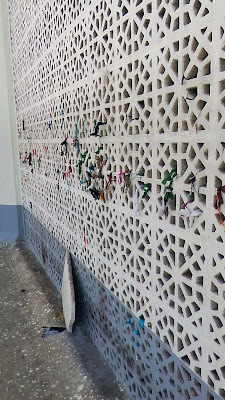 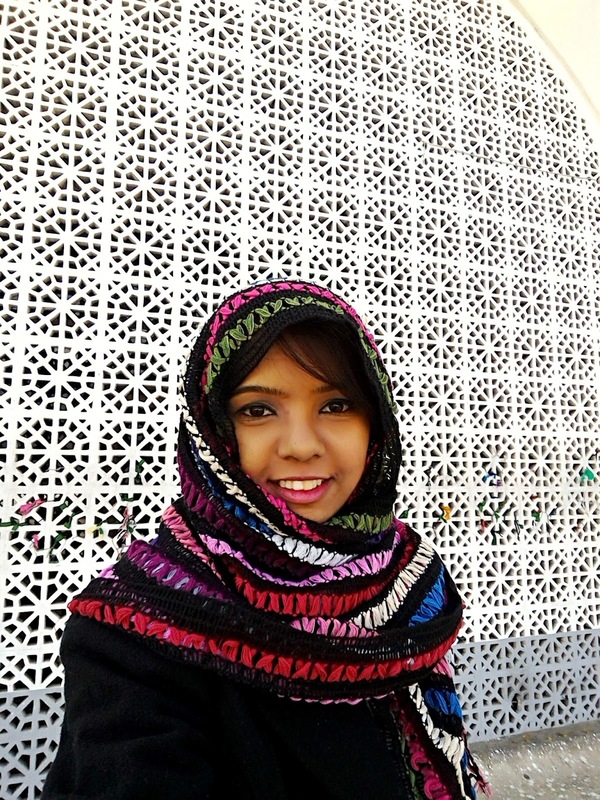 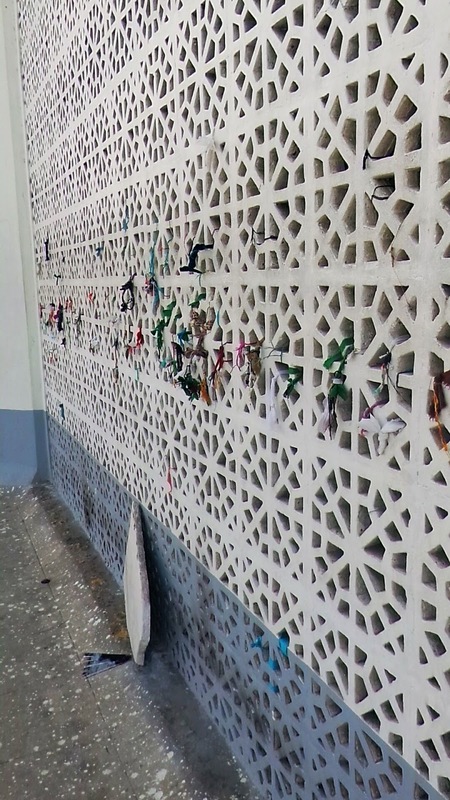 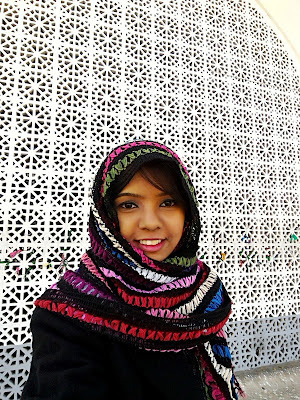 It houses a holy box with a strand of hair of Prophet Mohammed making the place very beautiful and calming. 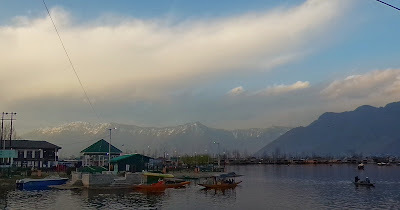 Dal lake is the first thing which comes to anyone's mind when anyone talks about Srinagar. 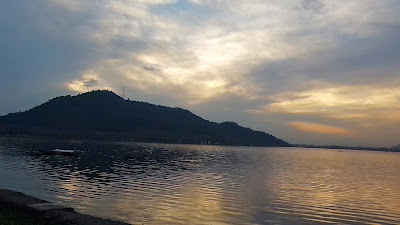 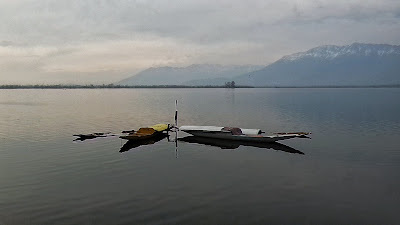 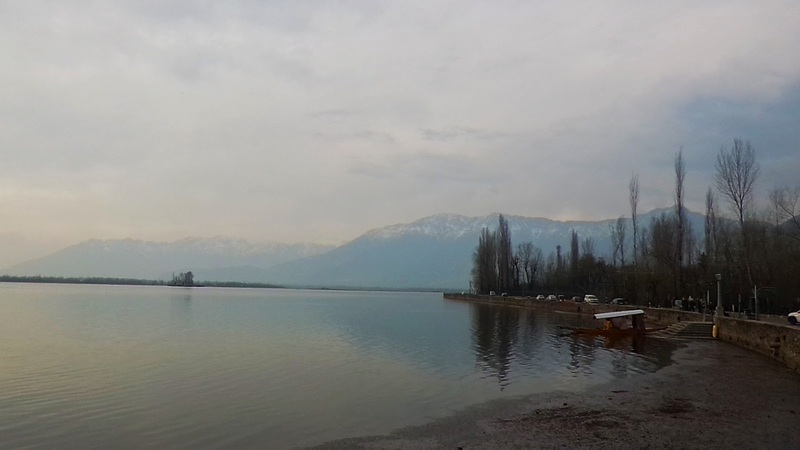 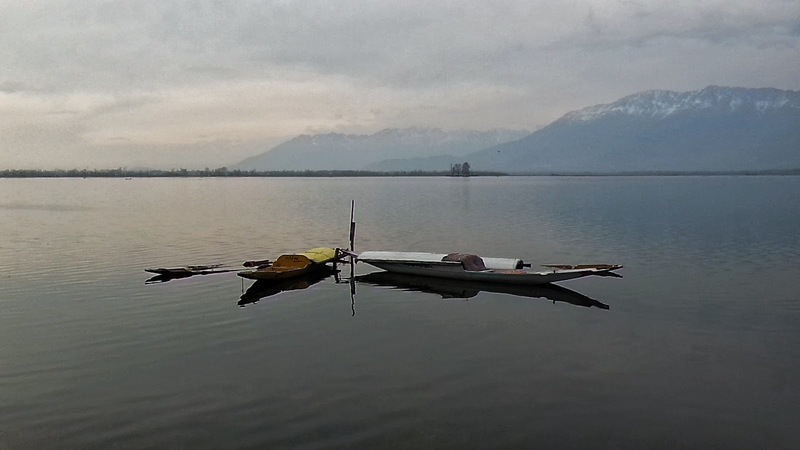 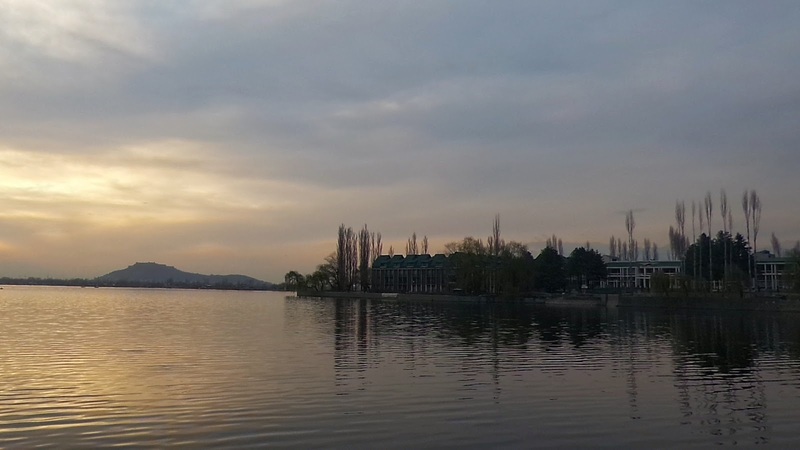 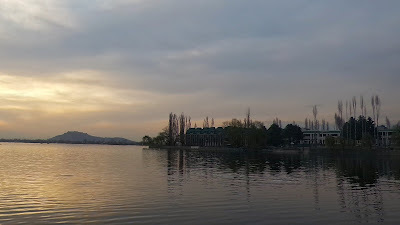 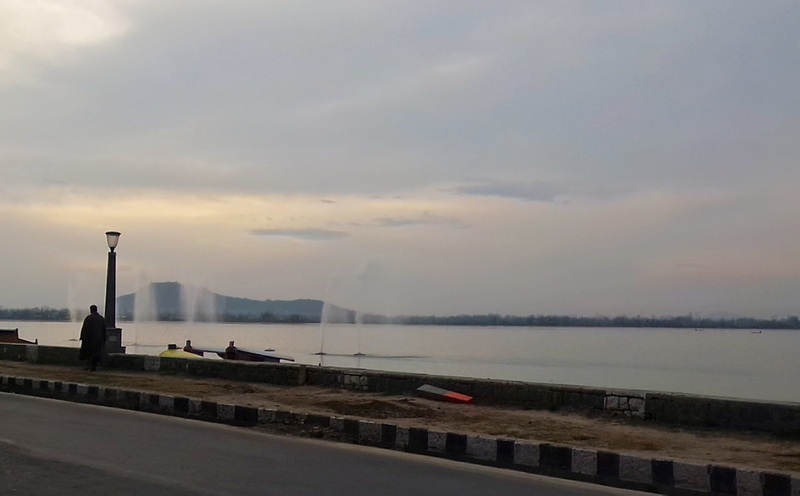 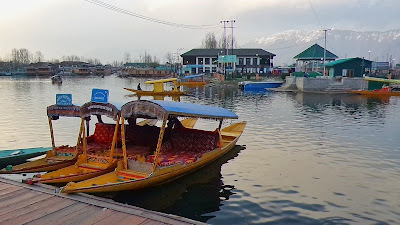 Over 15km around, Dal Lake is Srinagar's jewel, a vast sheet of water reflecting the carved wooden balconies of the houseboats and the misty peaks of the Pir Panjal mountains makes the place very picturesque. Colourfully painted shikaras (gondola-like taxi boats) skiff around the lake, transports goods to market, children to school and travellers to delightful houseboats. 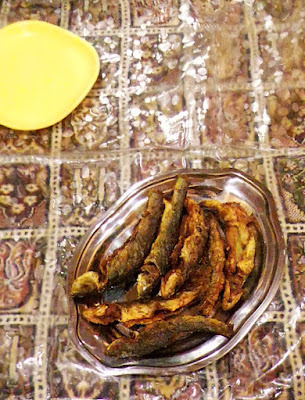 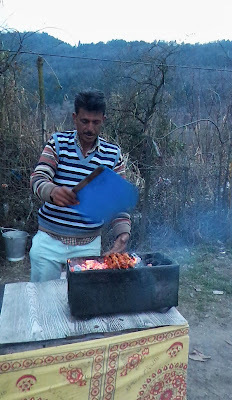 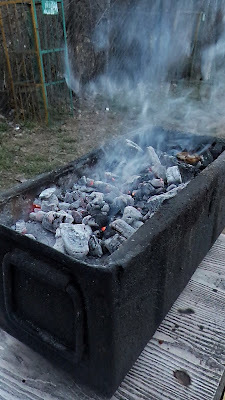 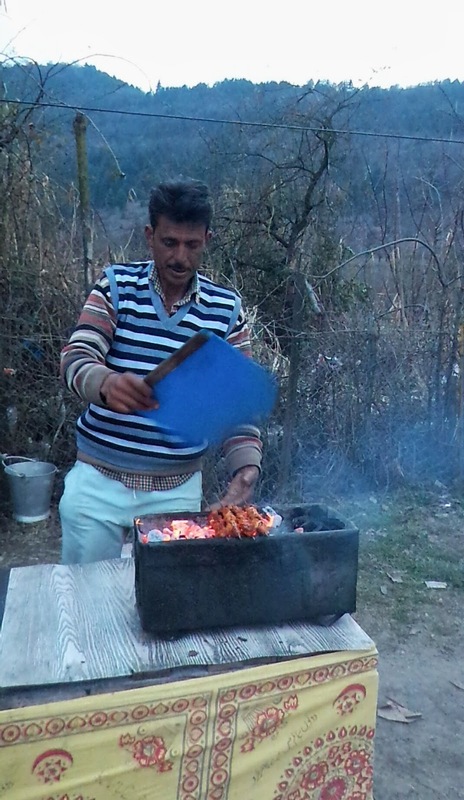 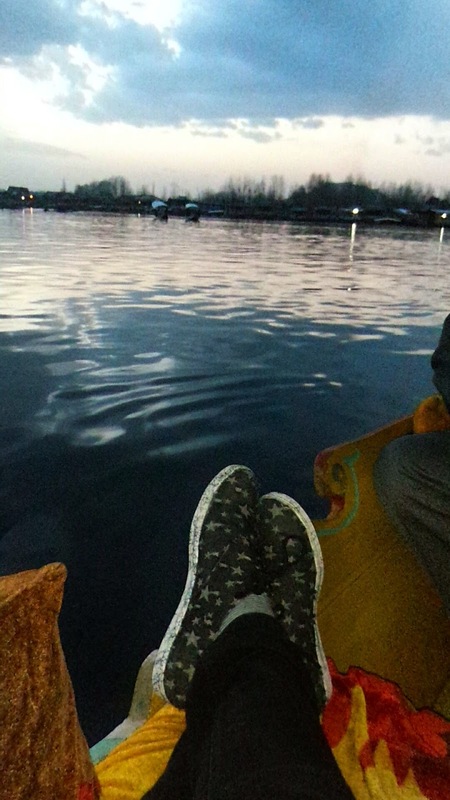 Cliche but a must try when in Srinagar. 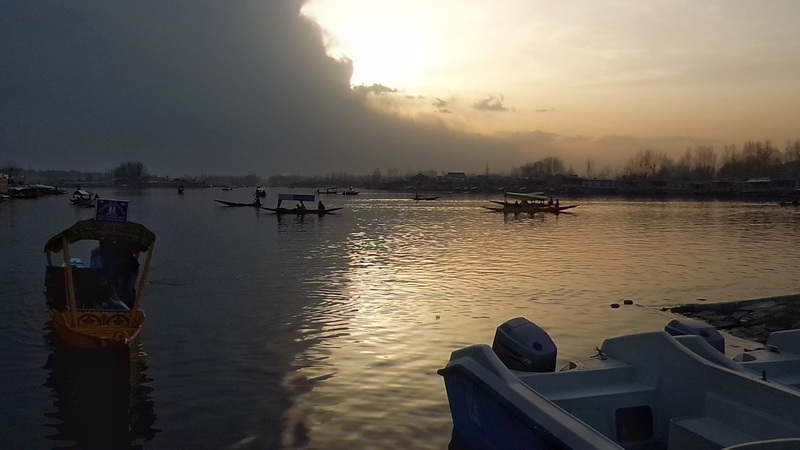 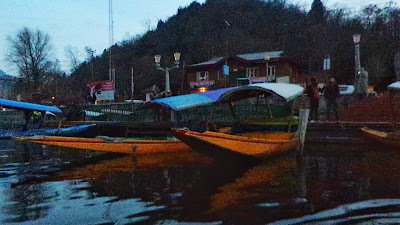 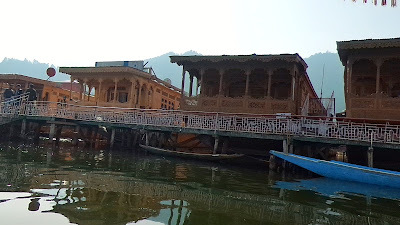 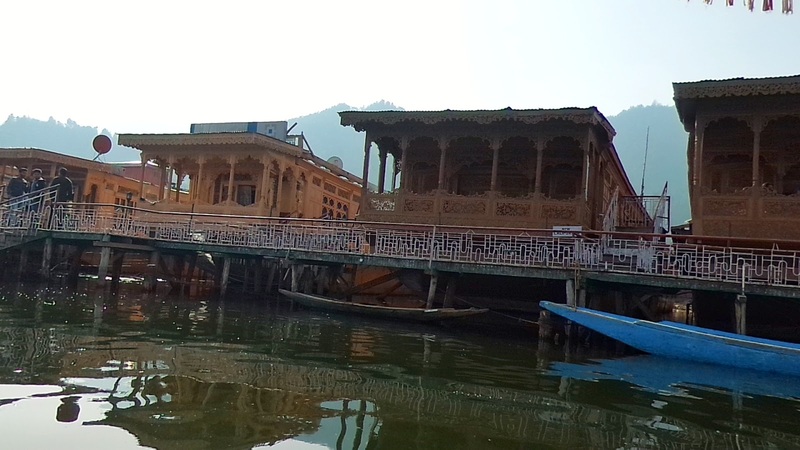 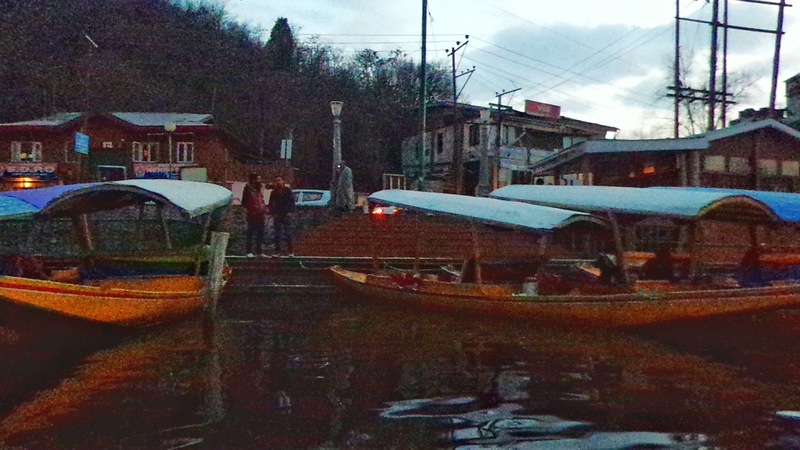 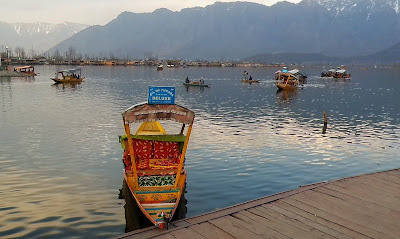 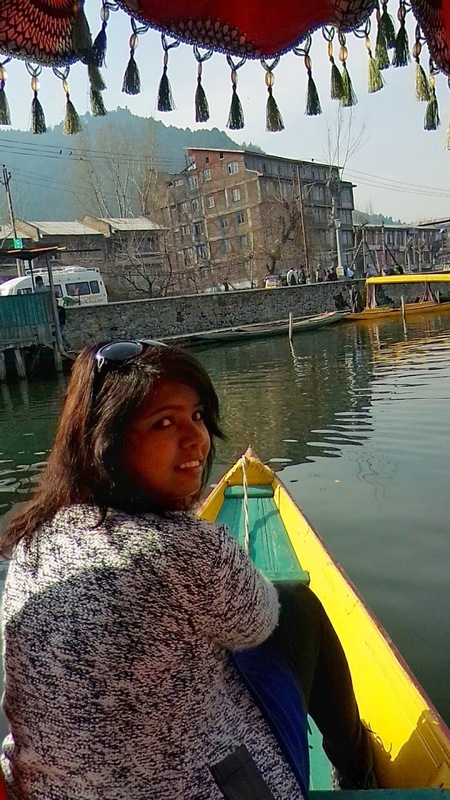 You can also paddle out to see the floating flower and vegetable market which makes it to a colourful spectacle which is situated at the edge of Dal lake, you can also expect plenty of attention from souvenir vendors where you can pick up some amazing wooden carvings souvenirs. 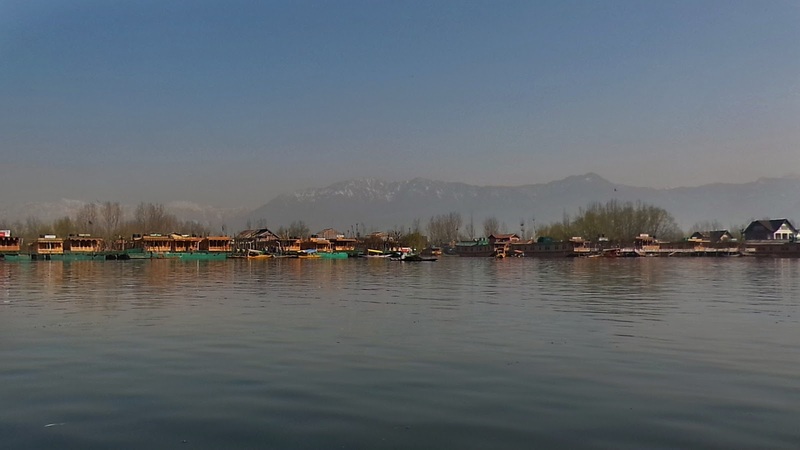 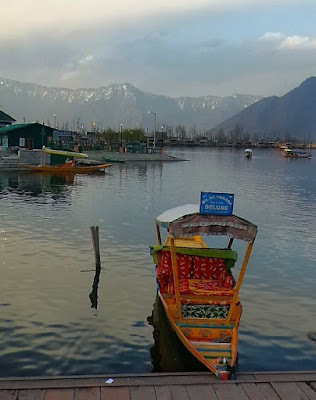 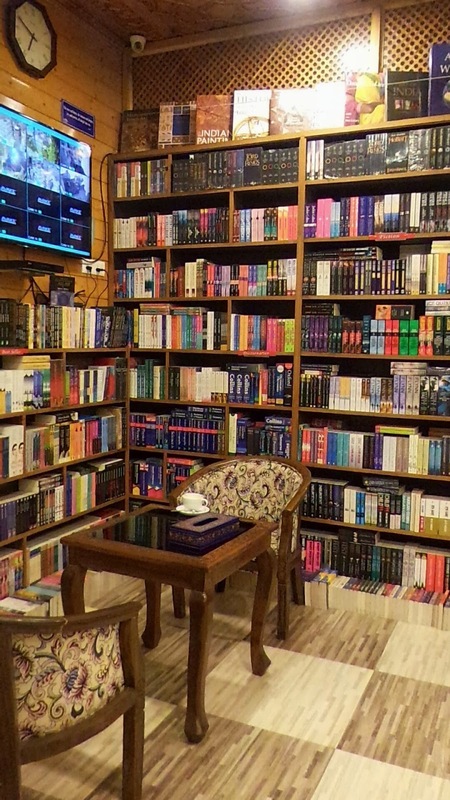 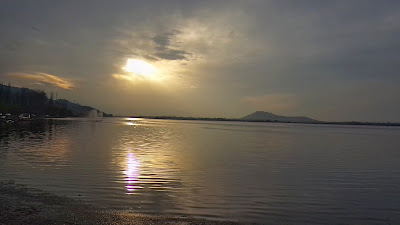 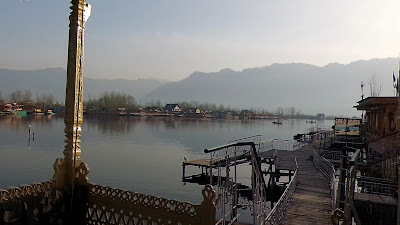 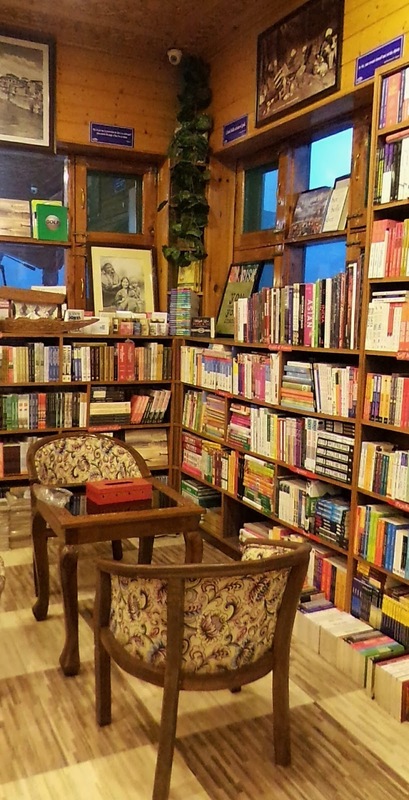 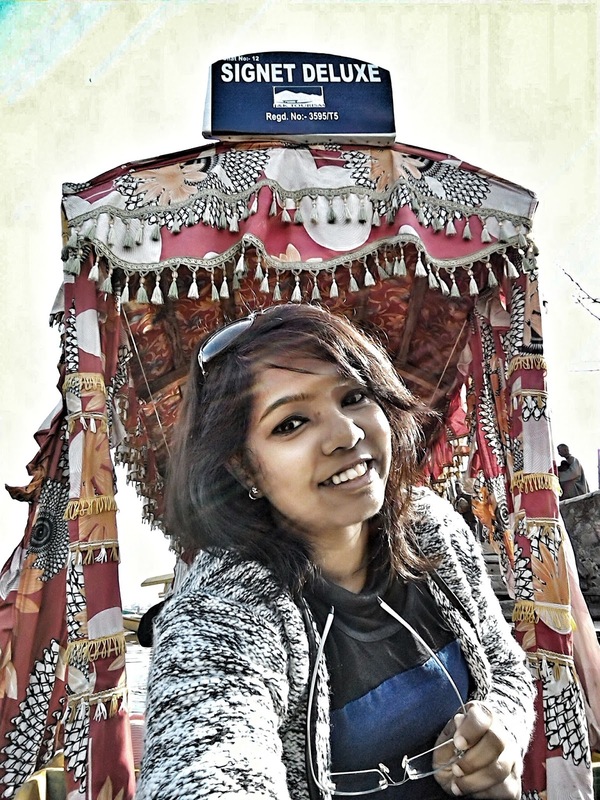 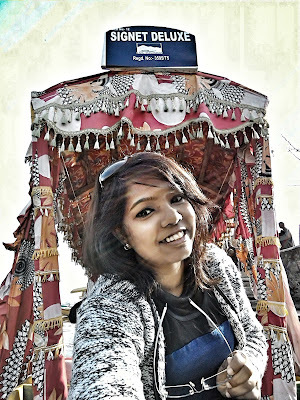 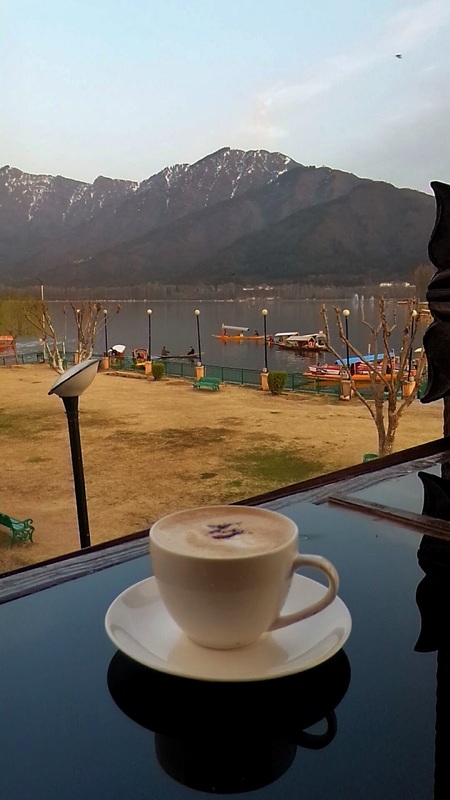 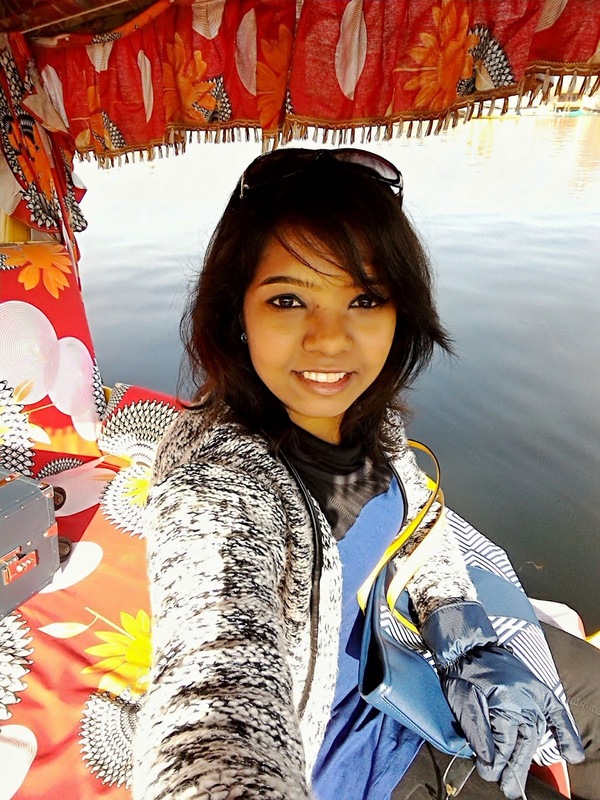 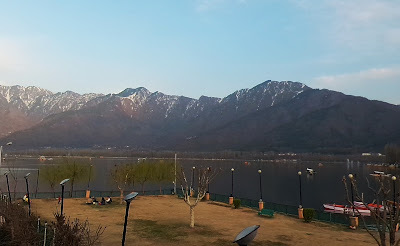 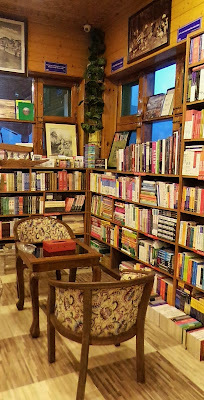 Apart from houseboats, Dal lake also has shops to shop for handicrafts, clothes or just reada book and have coffee with a view of the mountains and lake all around. 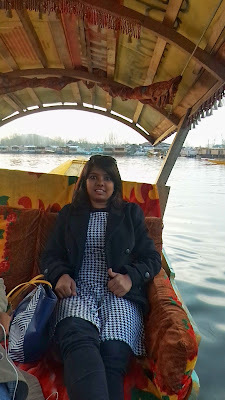 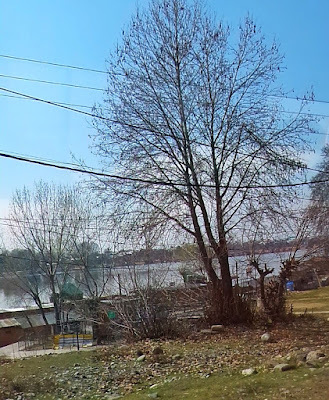 I stayed on a houseboat for a night to experience it. 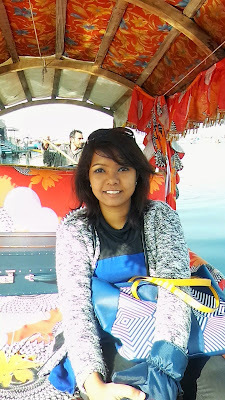 The architech of the houseboat impressed me the most. 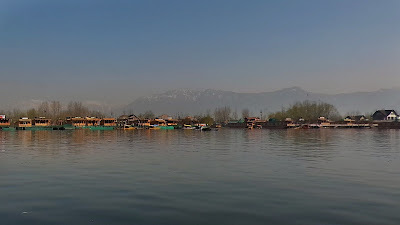 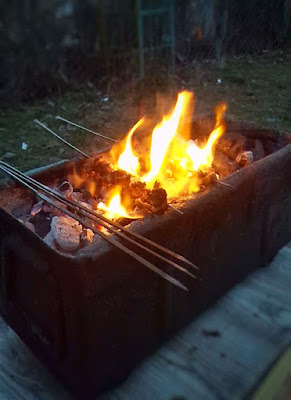 Summers are the best time to stay on houseboat as winters can get very cold and the power-cuts could be more than usual. A 2-3 days on houseboat can give you the actual experience of staying on it and enjoy the service and view of the mountains. 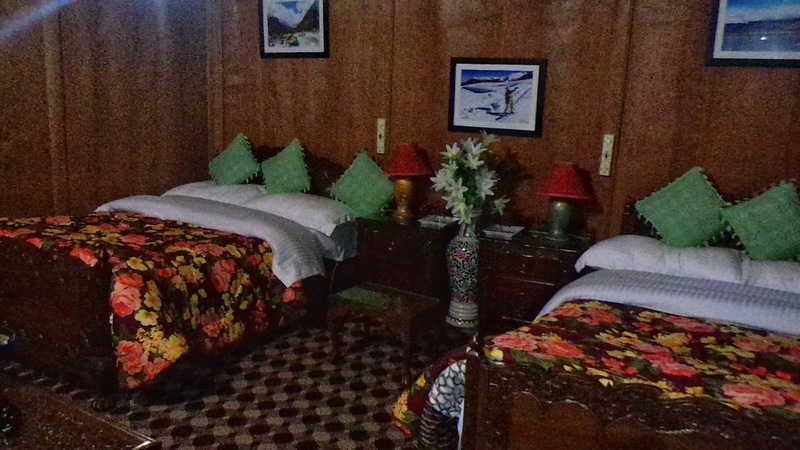 A houseboat can either be taken on sharing basis or the entire houseboat. 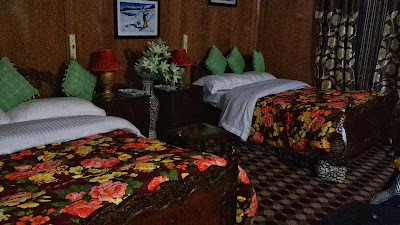 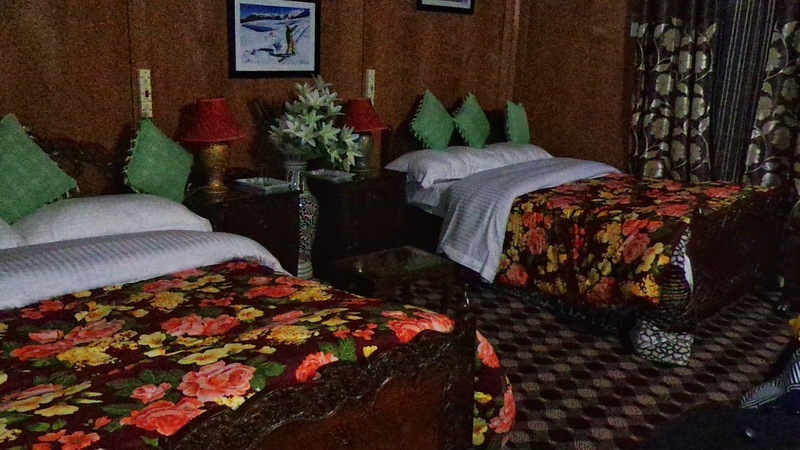 Usually a houseboat has 4 rooms, dining room and hall. 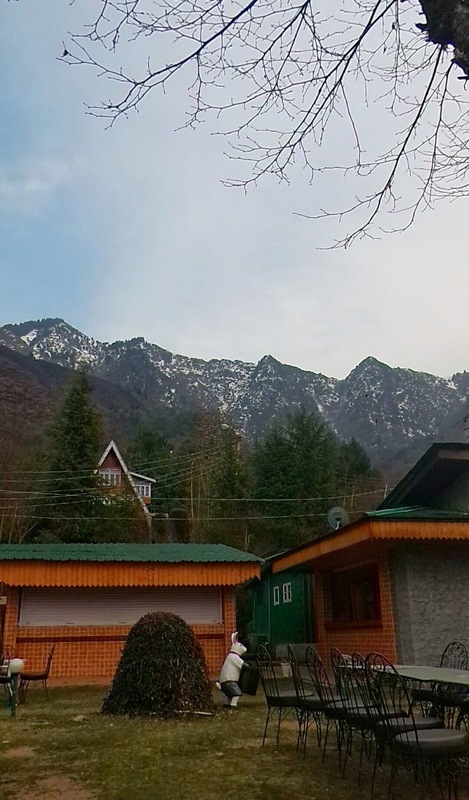 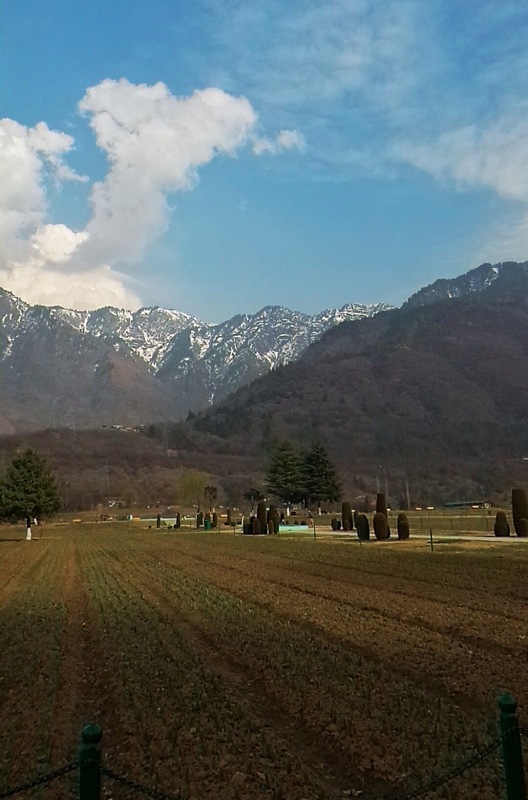 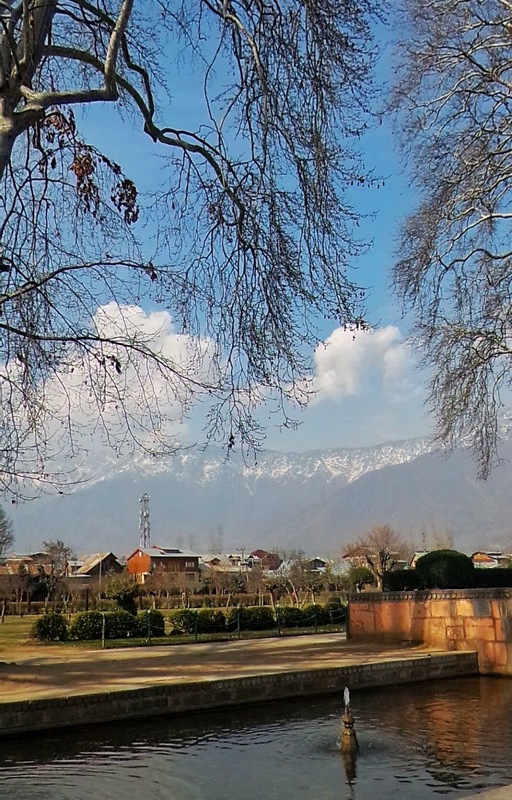 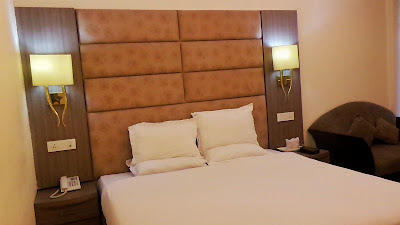 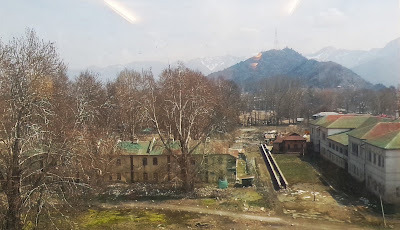 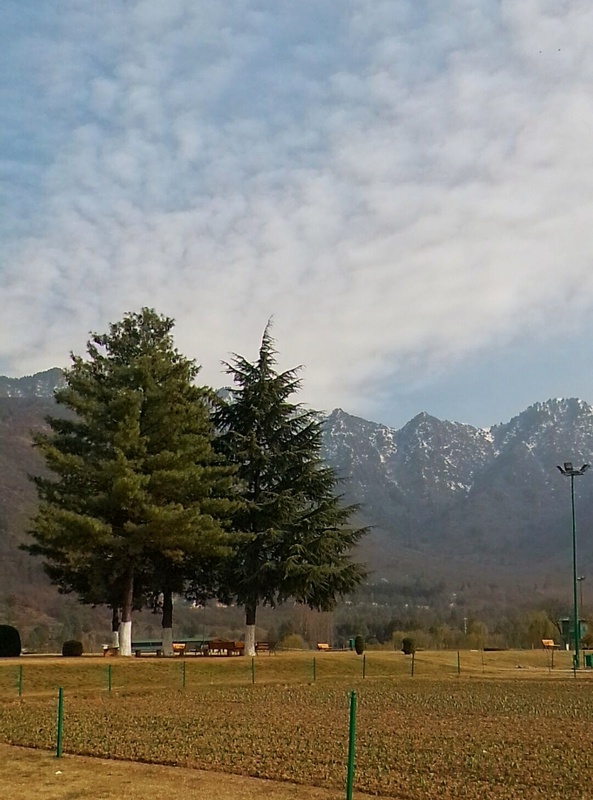 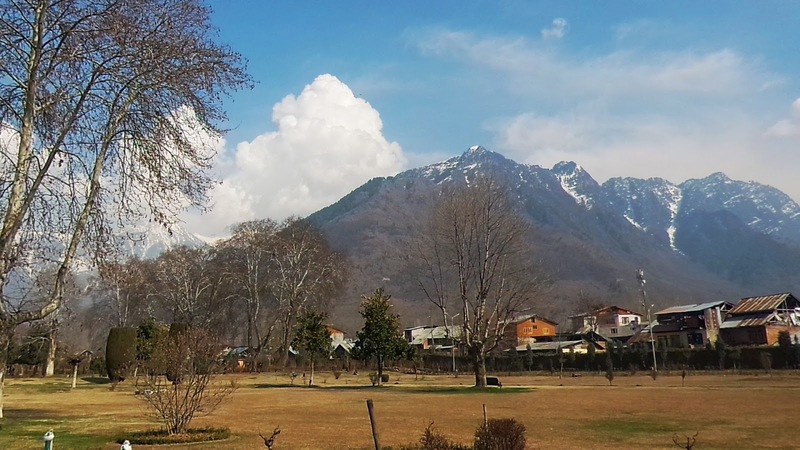 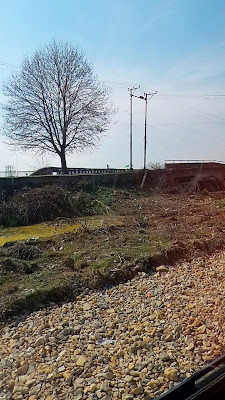 There is never a perfect season to visit Kashmir, every season has something to offer with summer offering green mountains and bloomed flowers and trees where as in winters you can witness snow clad mountains. In any season, Kashmir will make you say "Agar Firdaus bar rōy-e zamin ast, hamin ast-o hamin ast-o hamin ast". 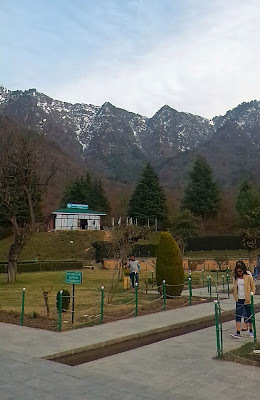 It is a jewel of India less explored. I am yet to see so many things in Kashmir, I am sure many more visits will give me a complete experience. 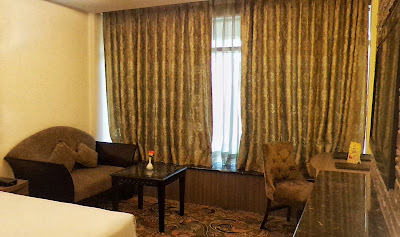 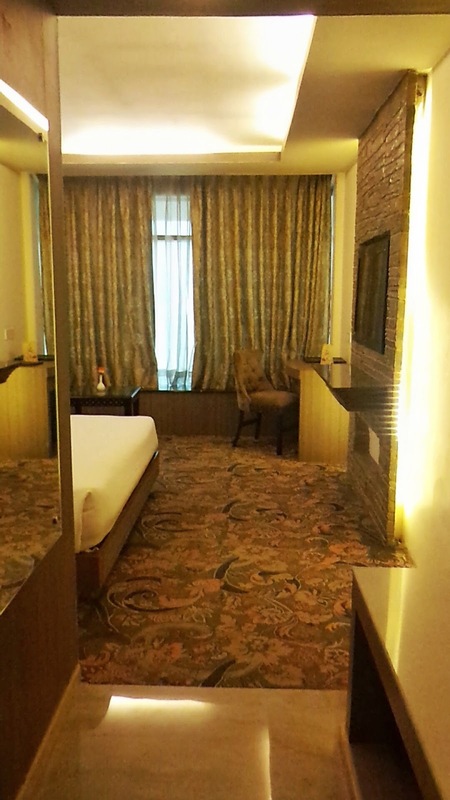 Various packages are provided by Thomas Cook India which will give you the complete experience of staying in Kashmir. 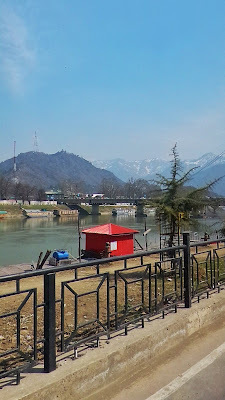 So go ahead and book your summer vacations now for this summer capital of Jammu and Kashmir.